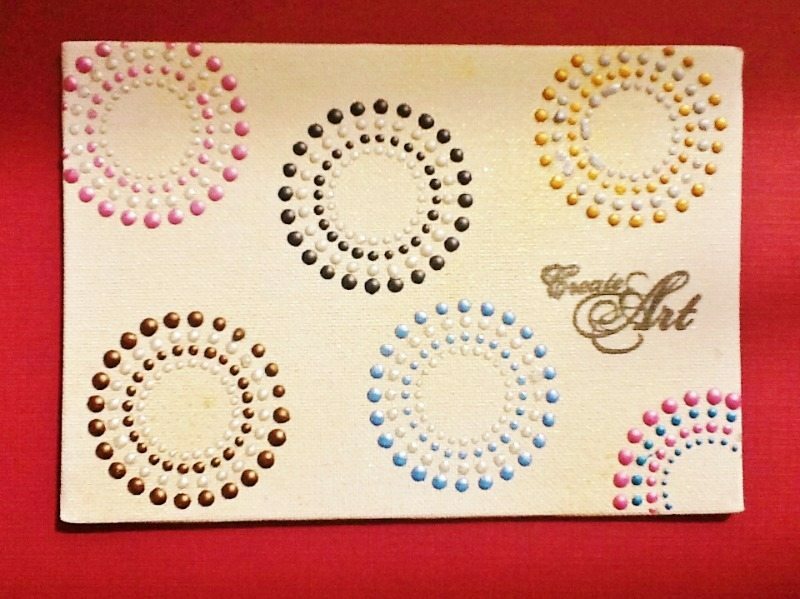 Come on you guys, we need your ideas!! 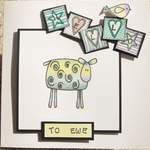 Please email any pictures to sarah@inkydoodles.co.uk giving your permission to use them on the website, and if you would like your name to be shown. 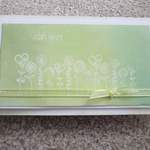 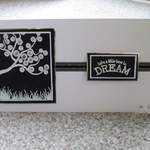 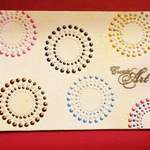 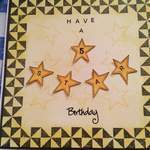 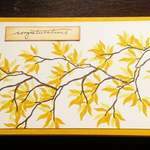 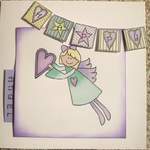 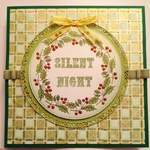 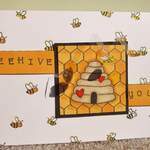 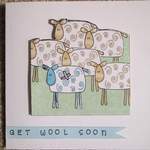 Thank you Wendy Pickersgill for these wonderful cards. 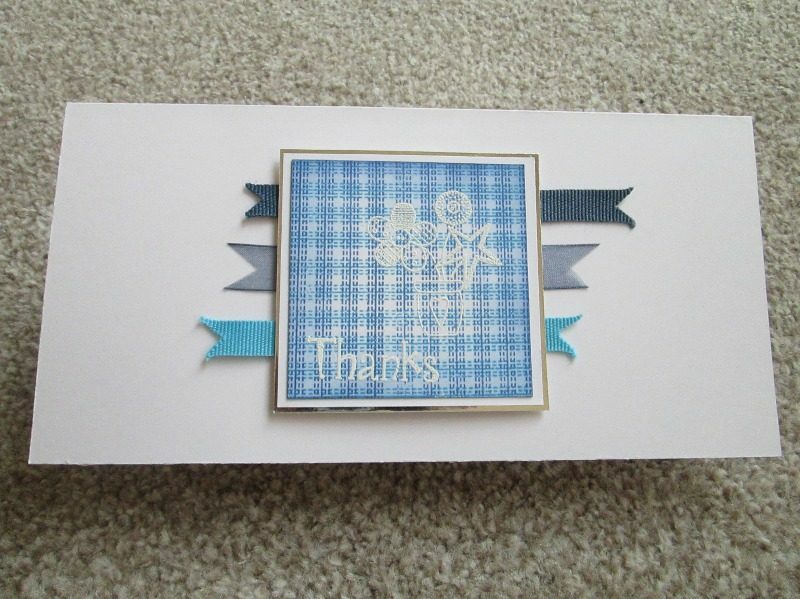 Thank you to Jennifer for sending in these lovely pics. 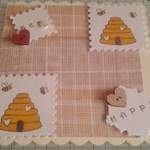 Thanks to Linda Dent for sending in all these fab piccies. 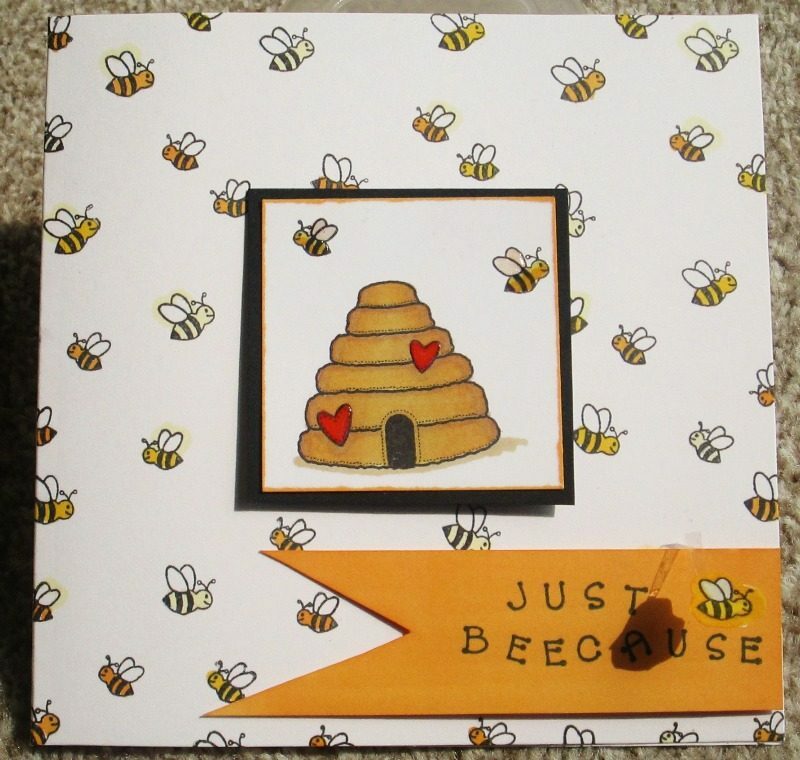 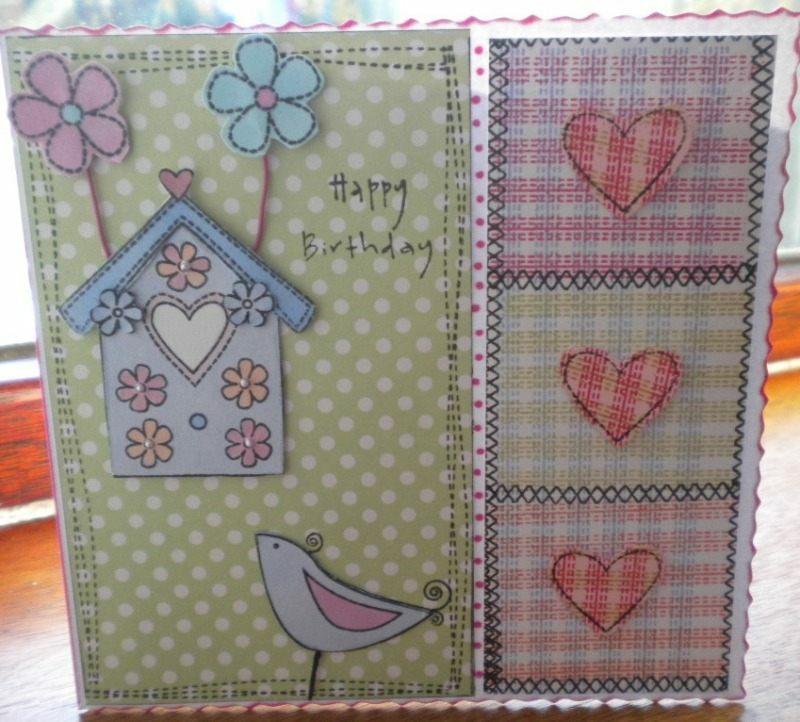 Here's a couple of lovely cards made by Rosy Ambrose - thanks Rosy! 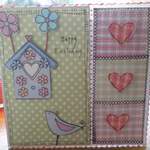 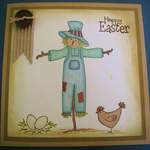 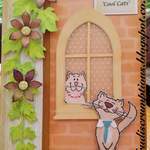 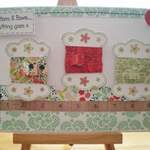 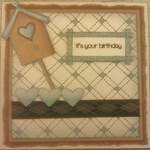 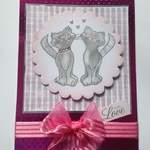 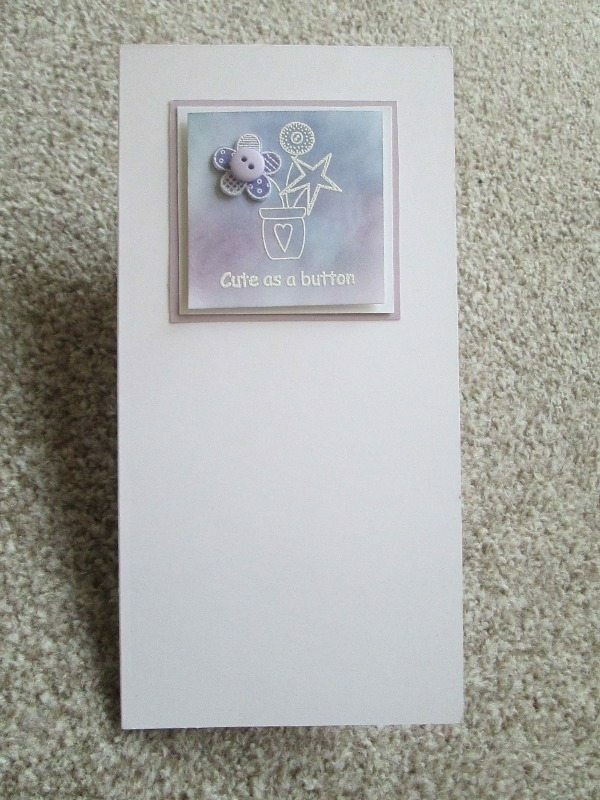 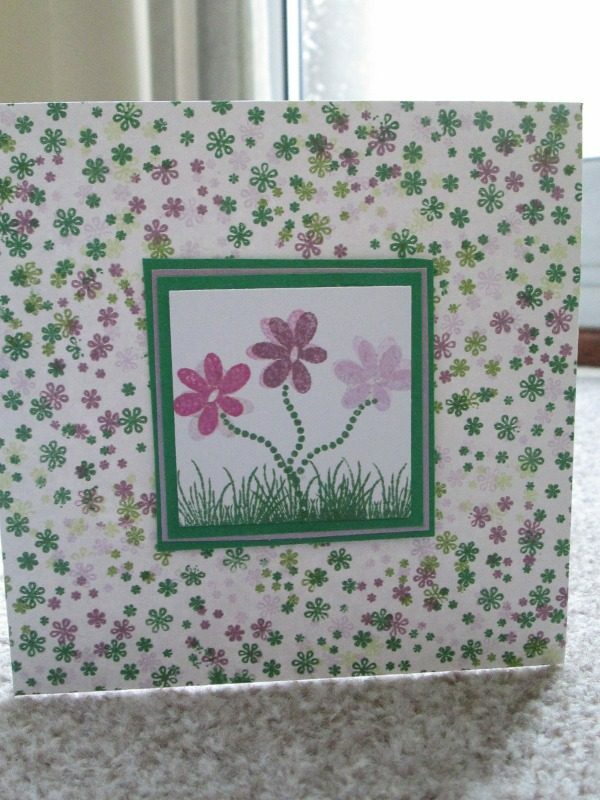 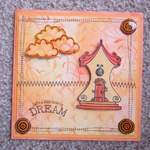 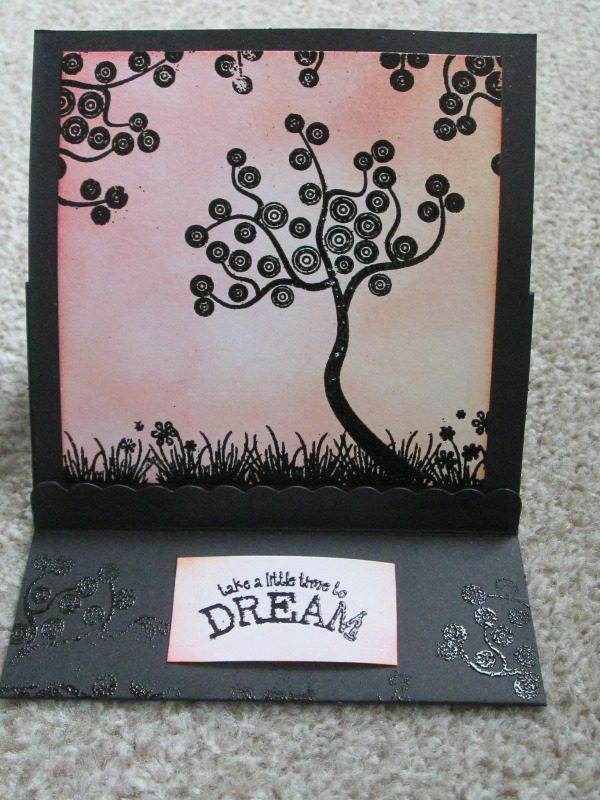 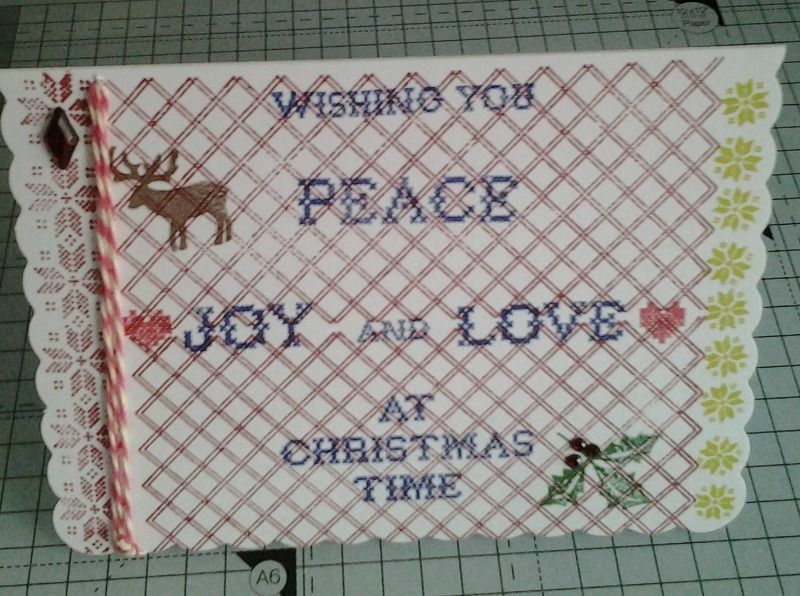 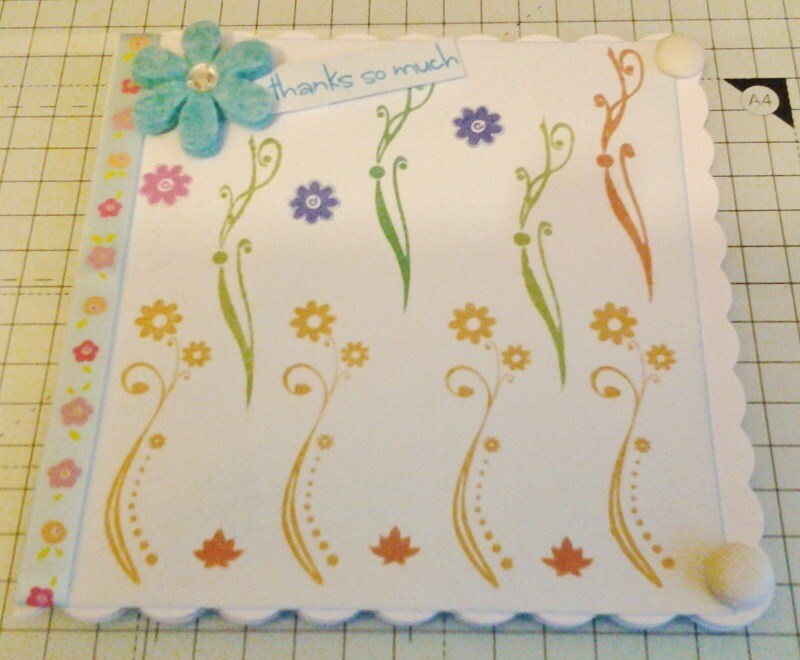 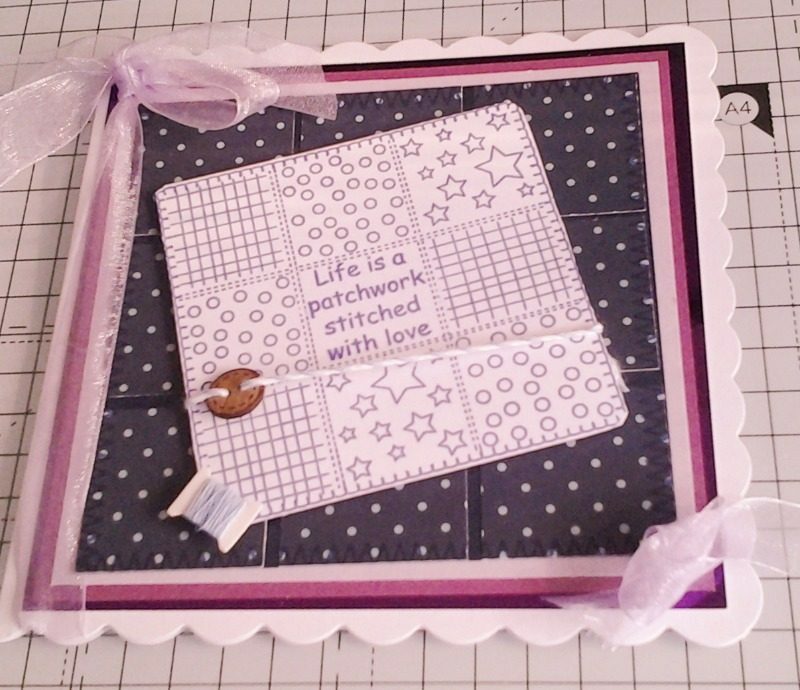 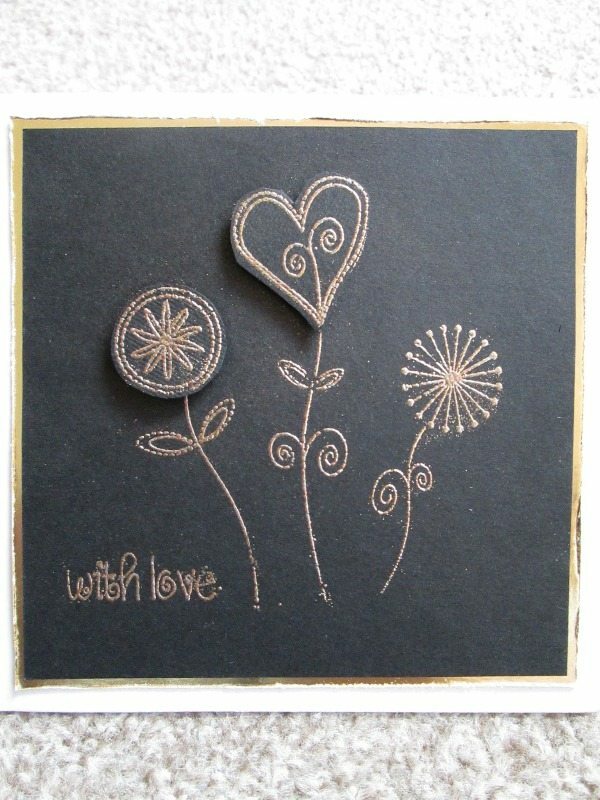 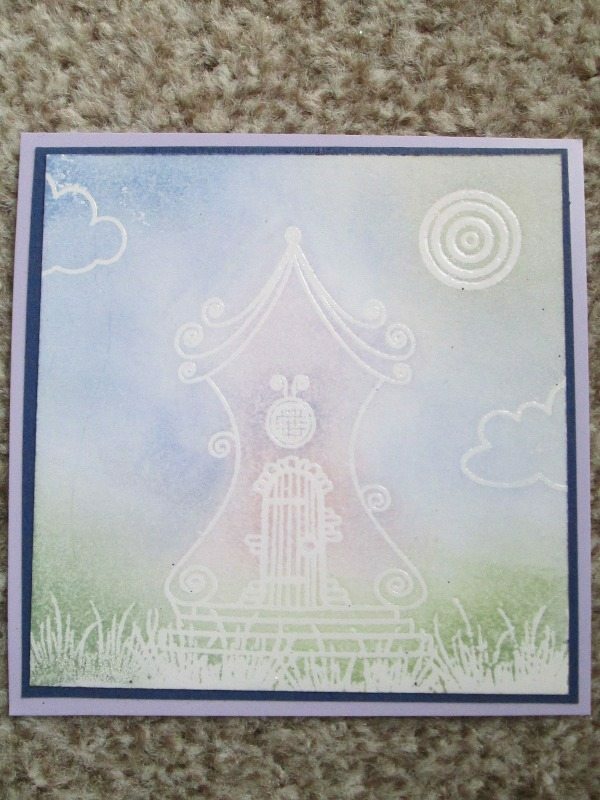 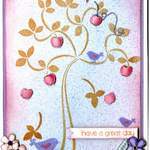 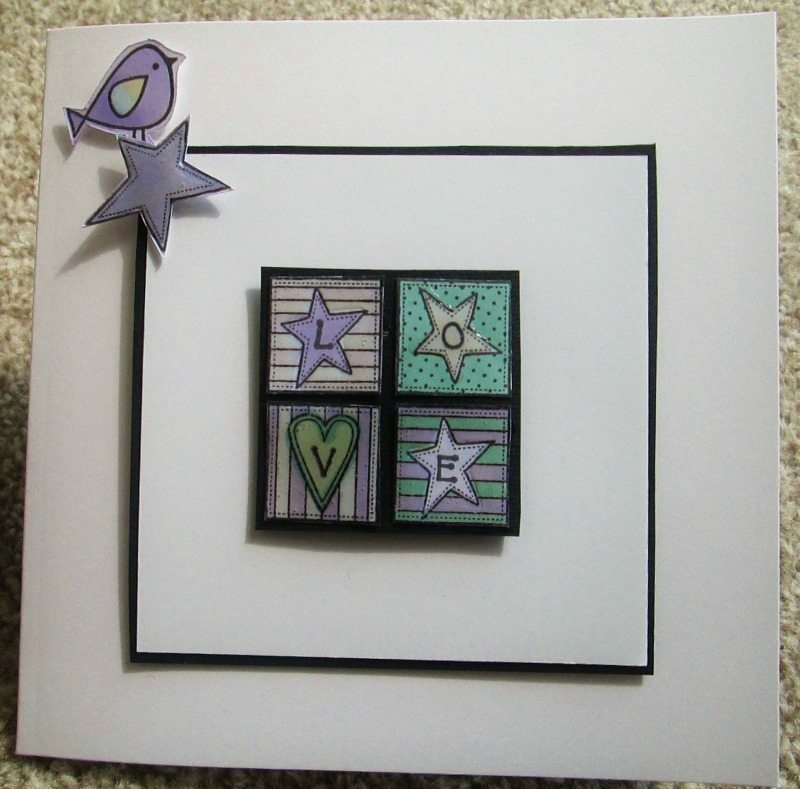 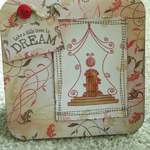 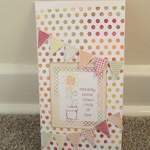 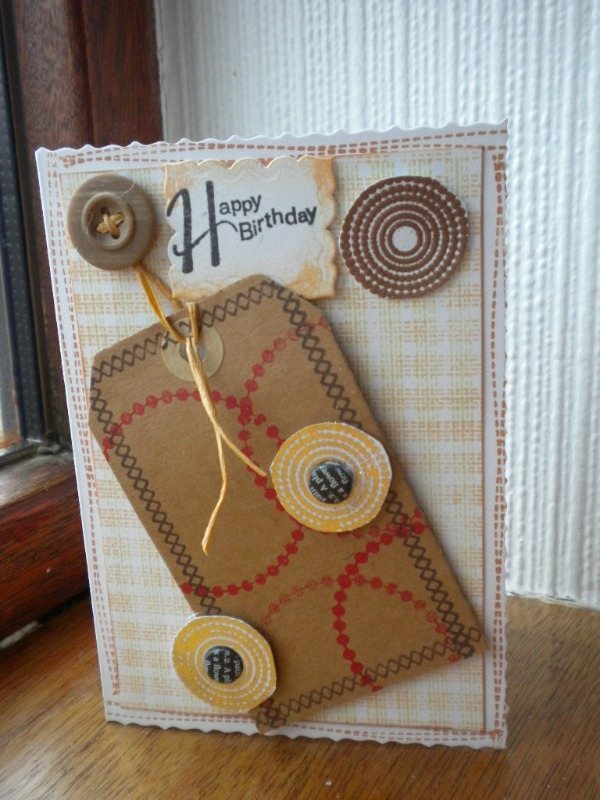 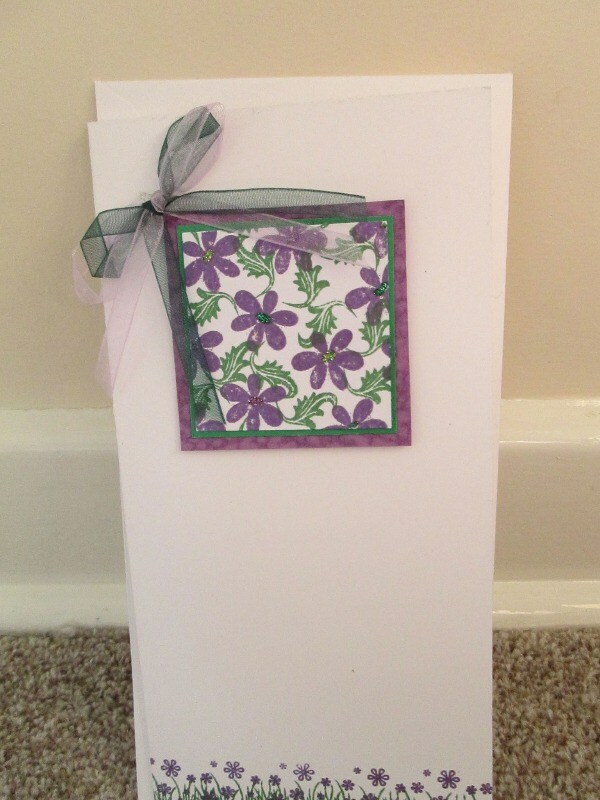 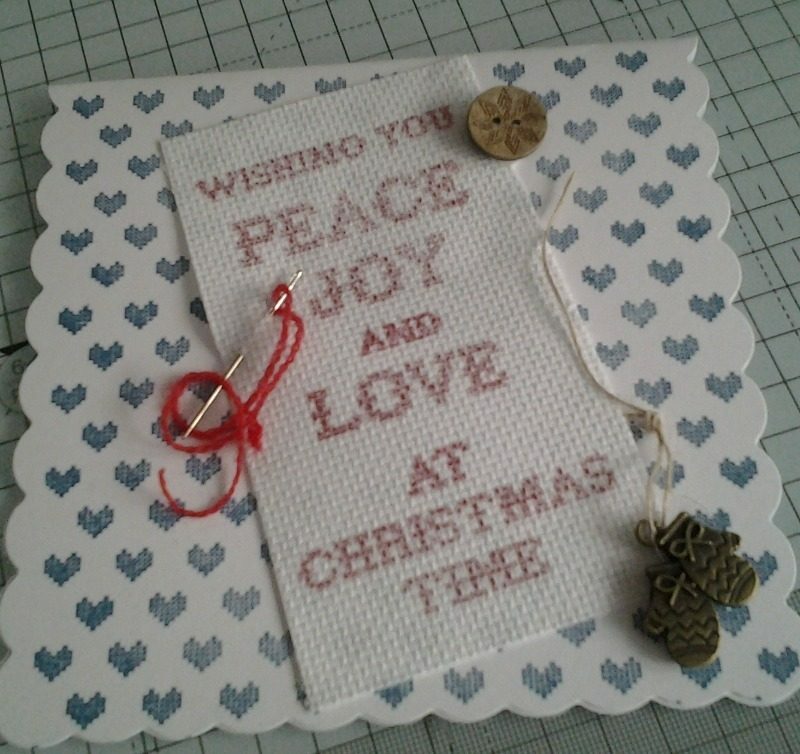 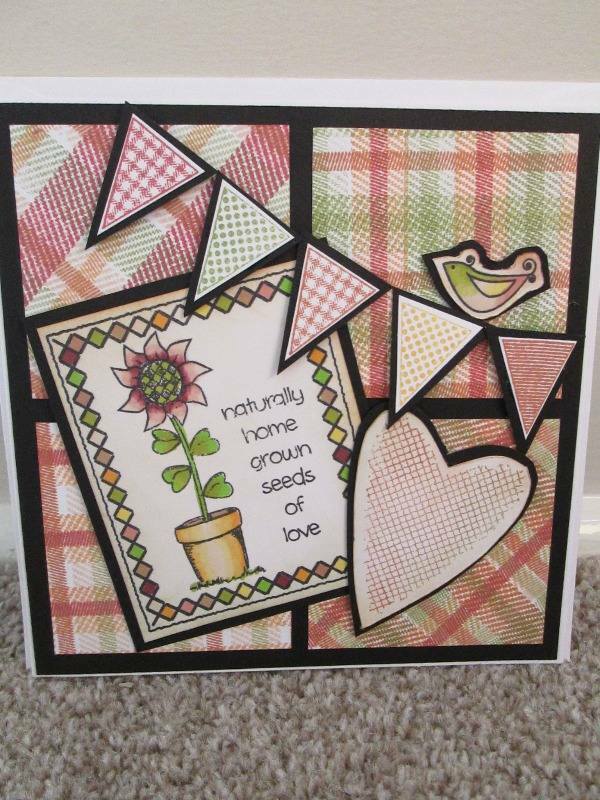 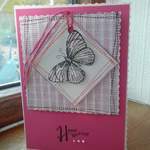 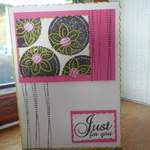 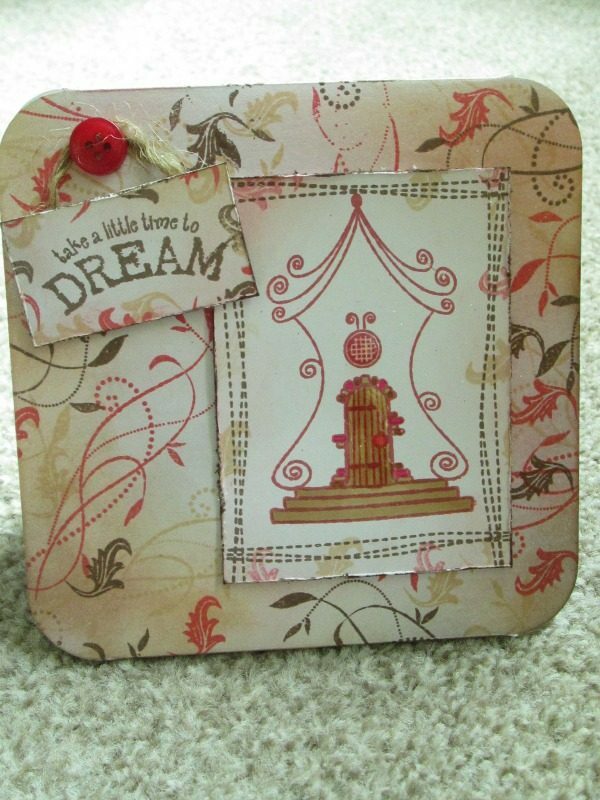 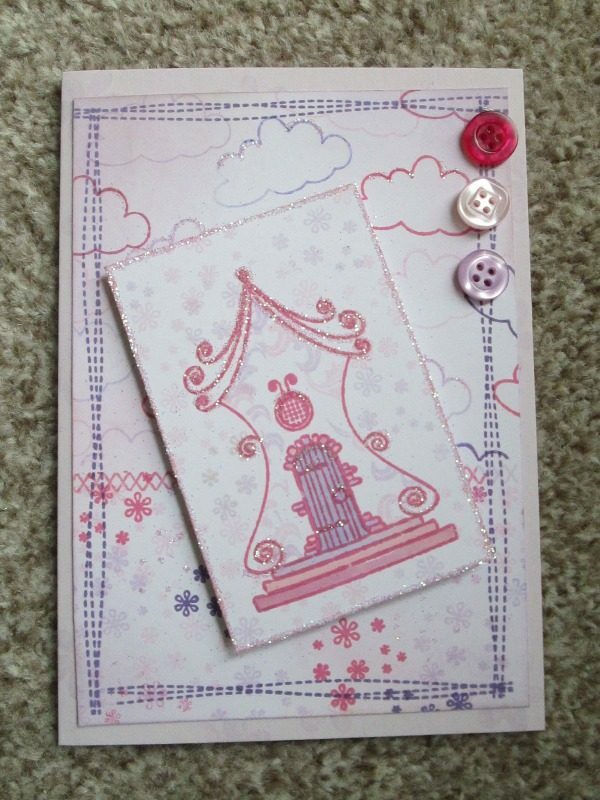 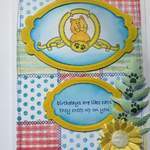 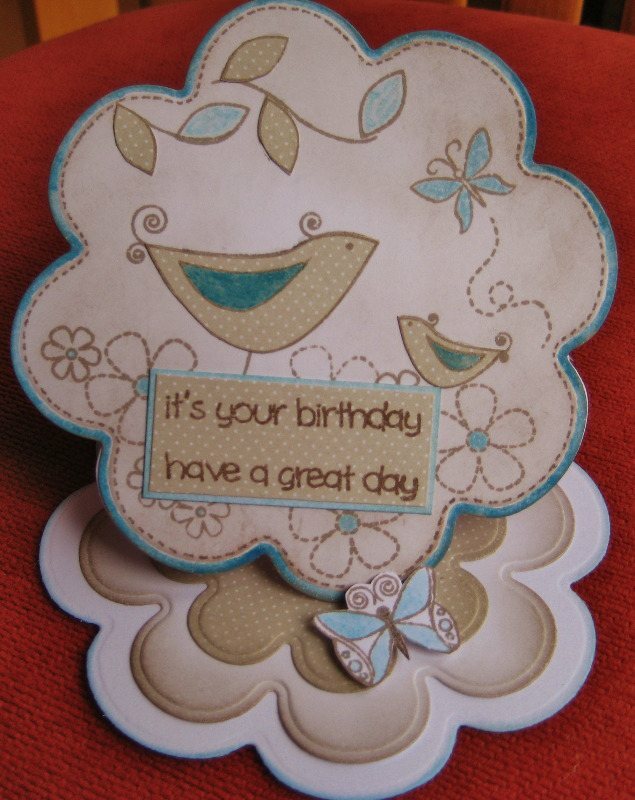 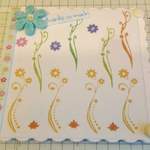 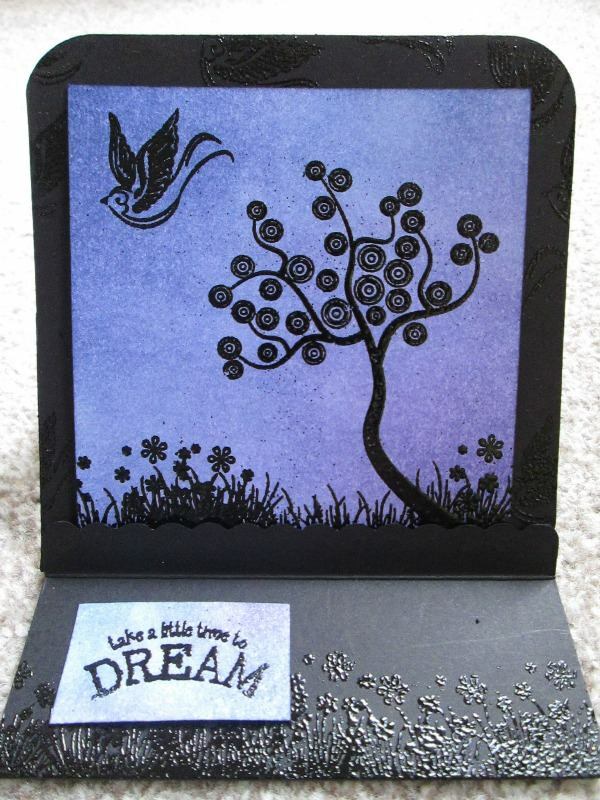 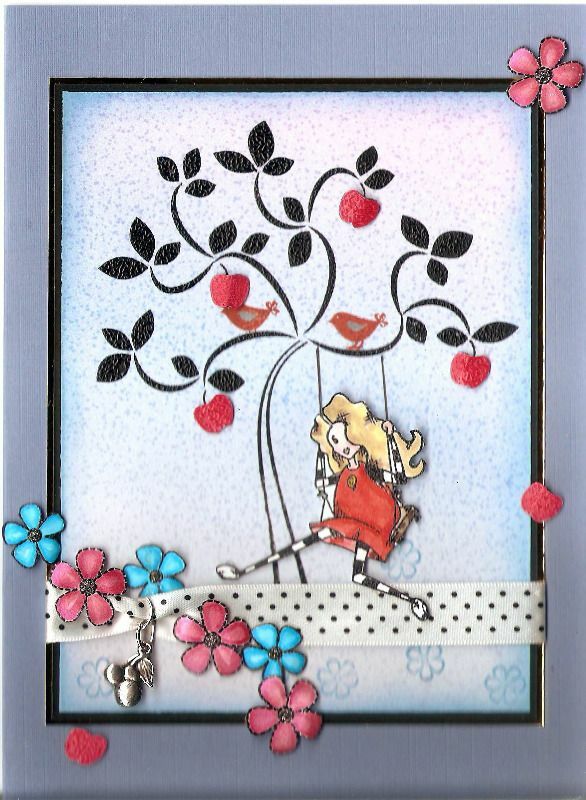 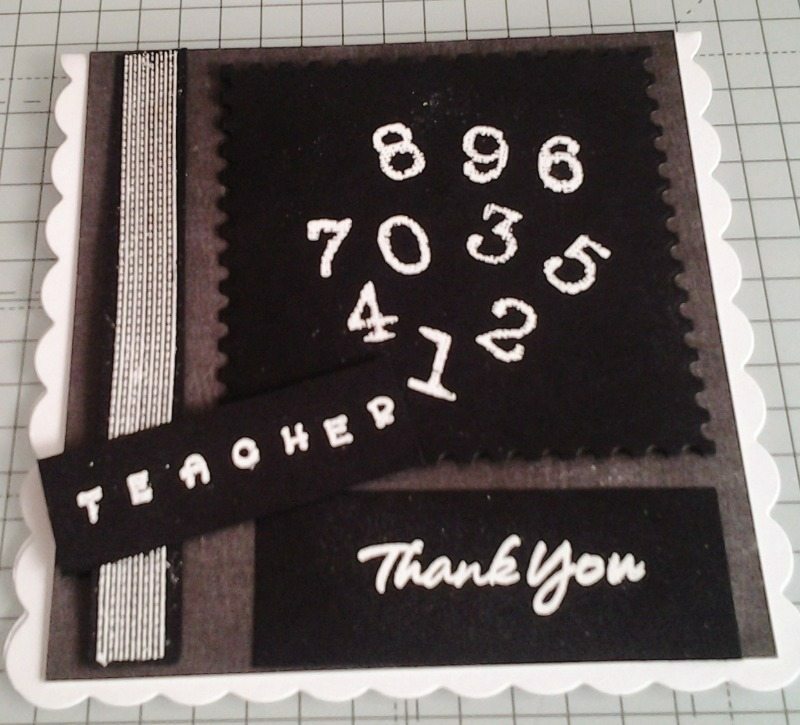 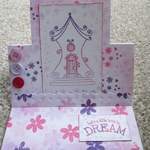 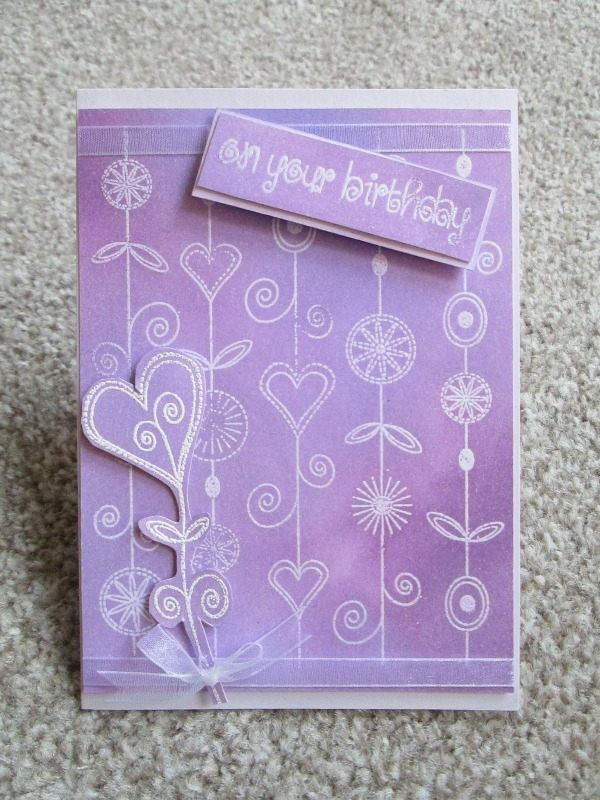 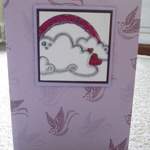 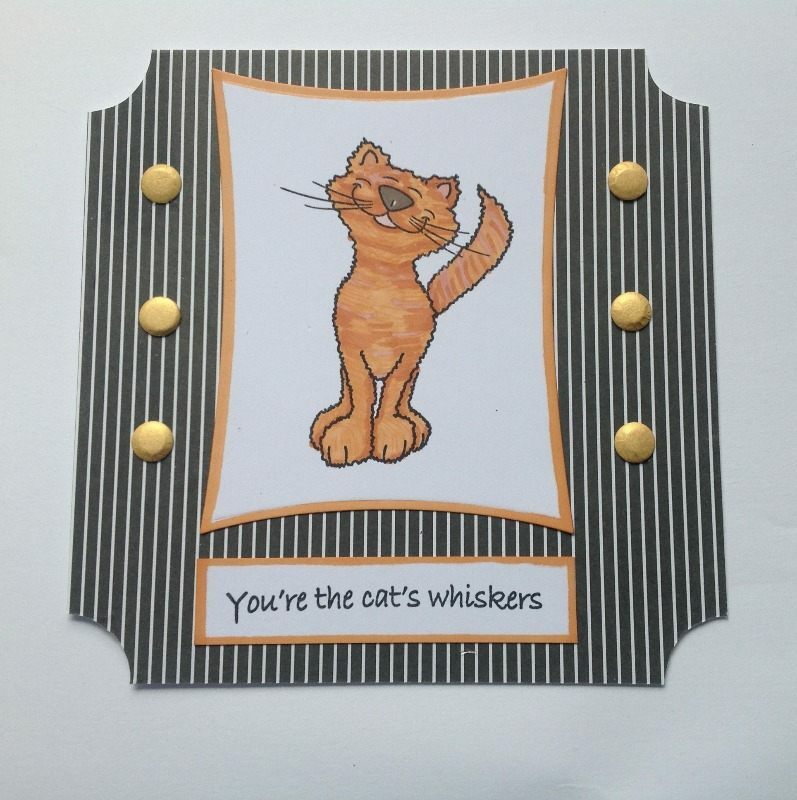 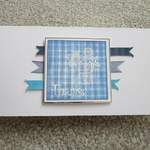 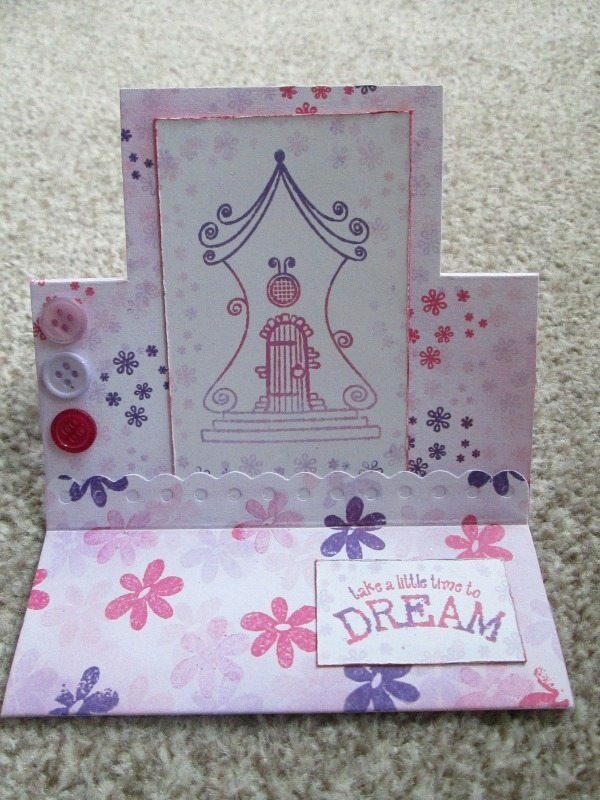 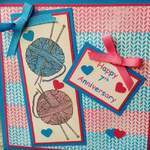 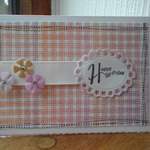 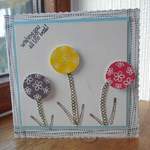 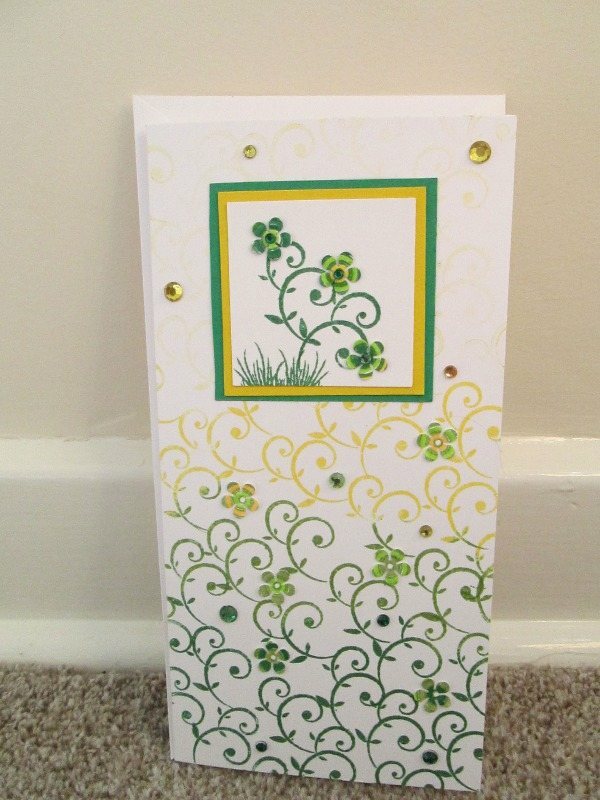 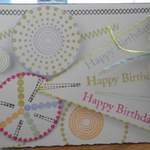 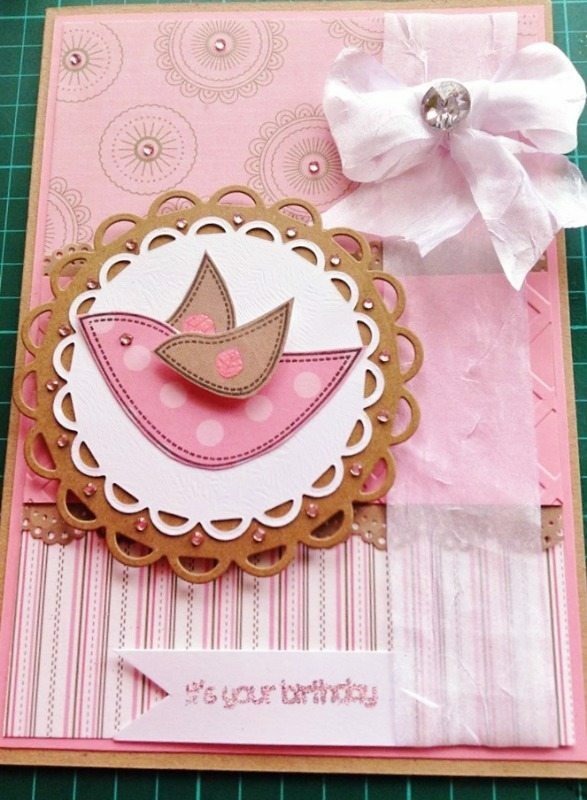 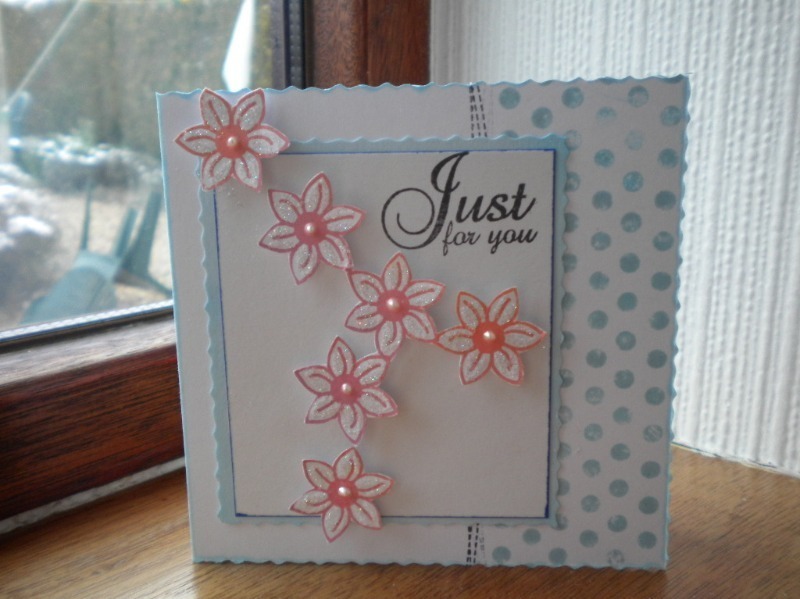 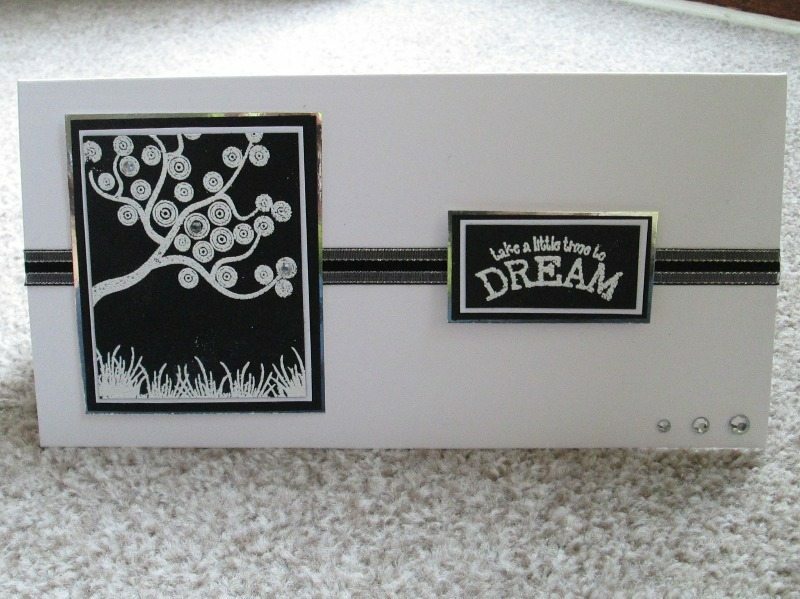 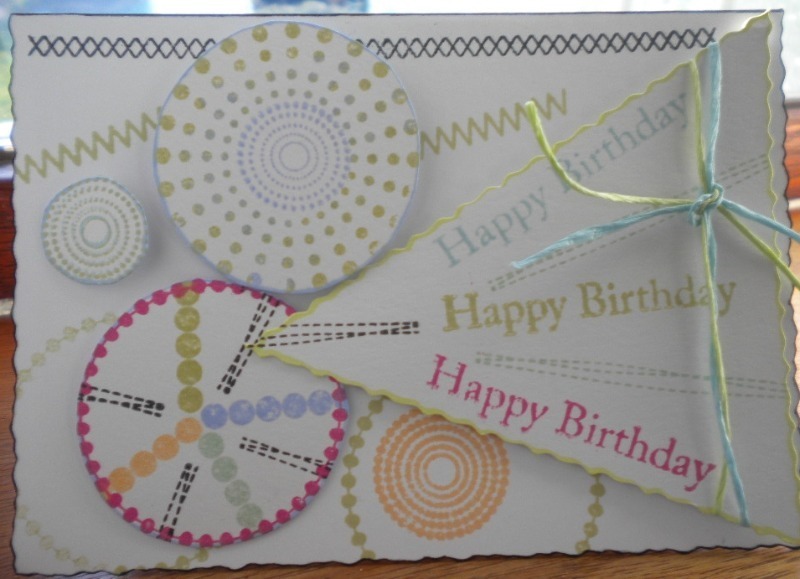 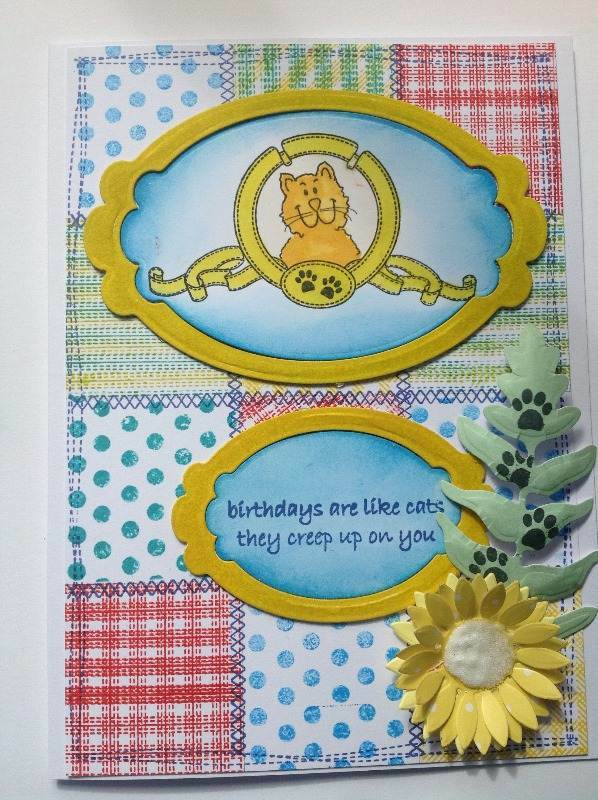 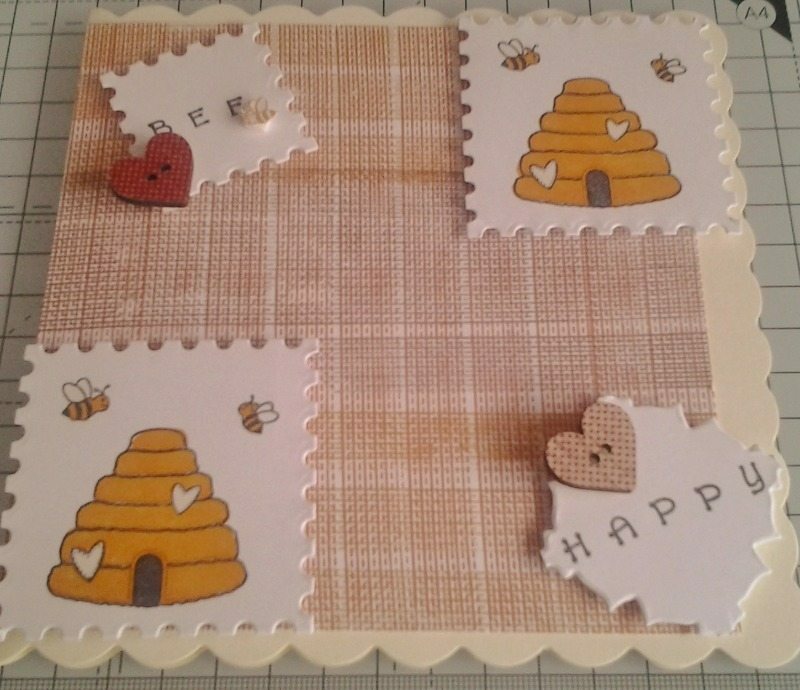 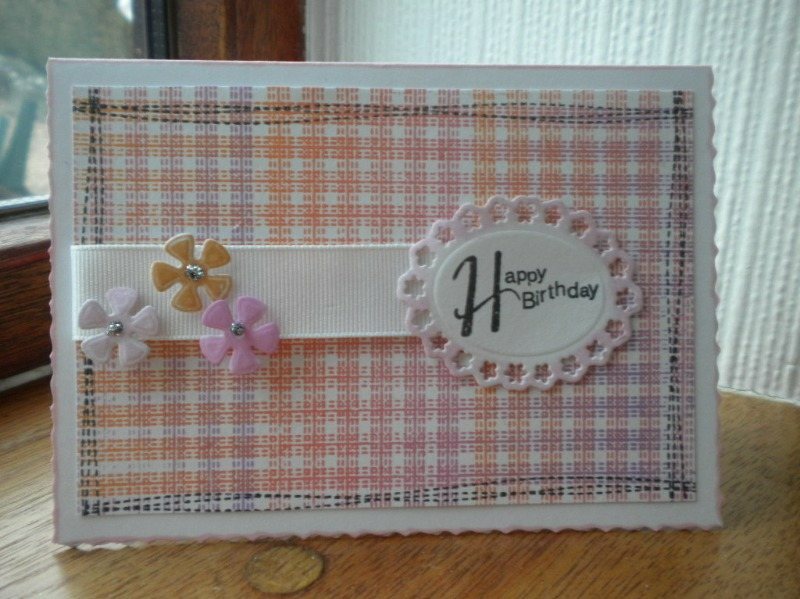 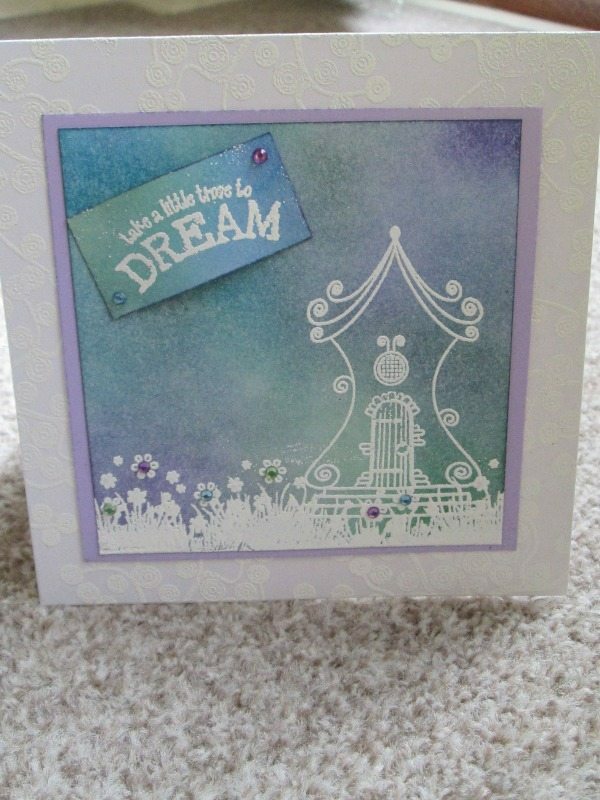 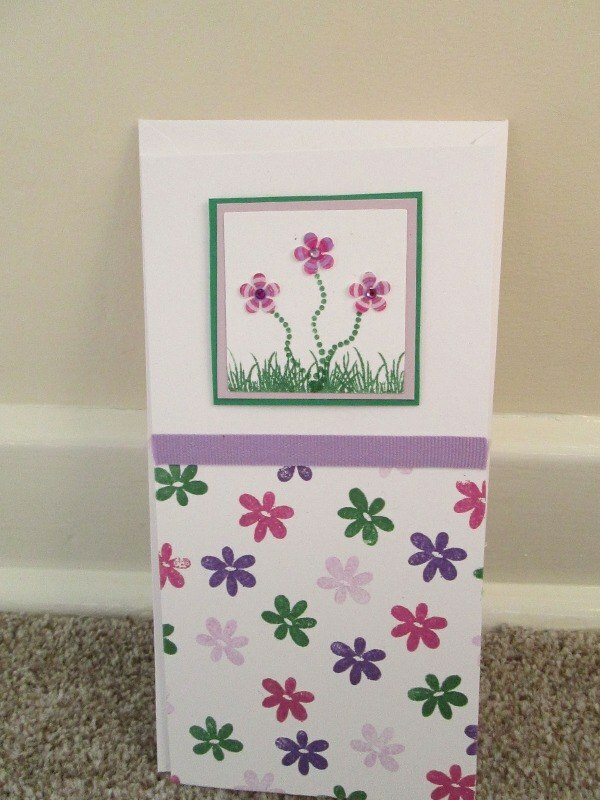 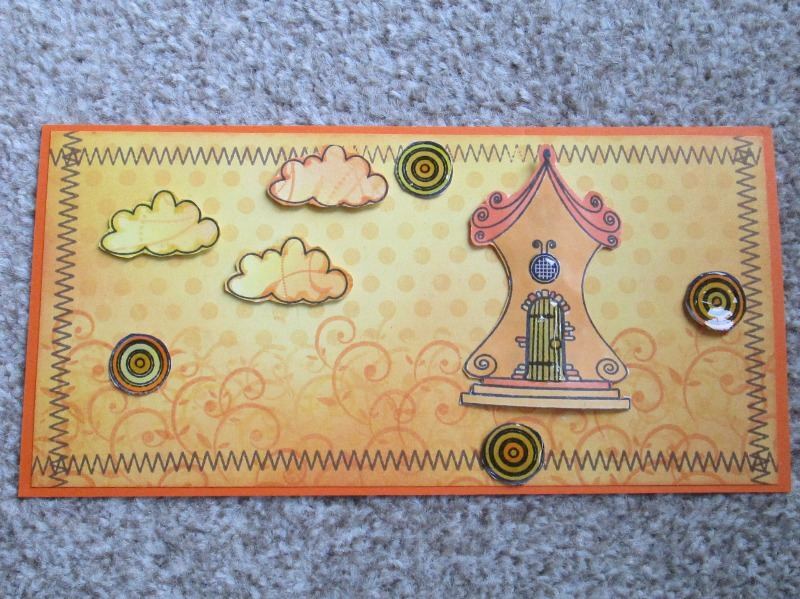 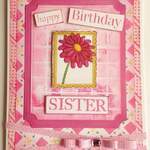 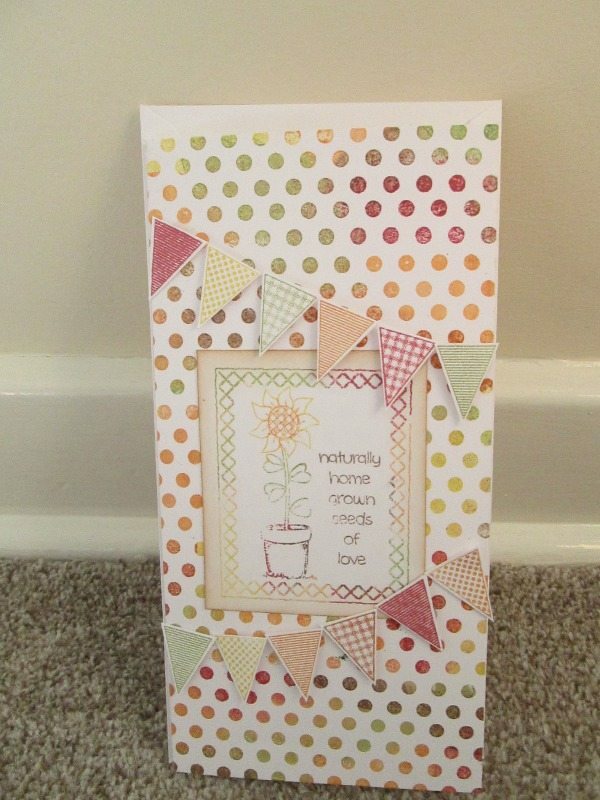 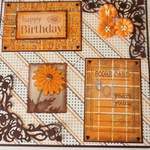 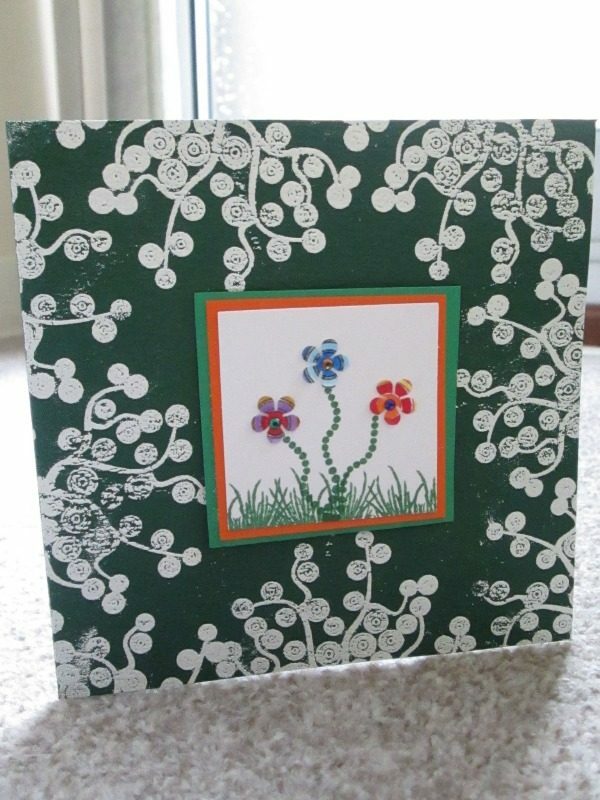 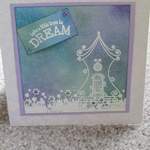 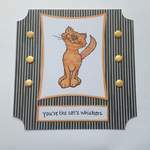 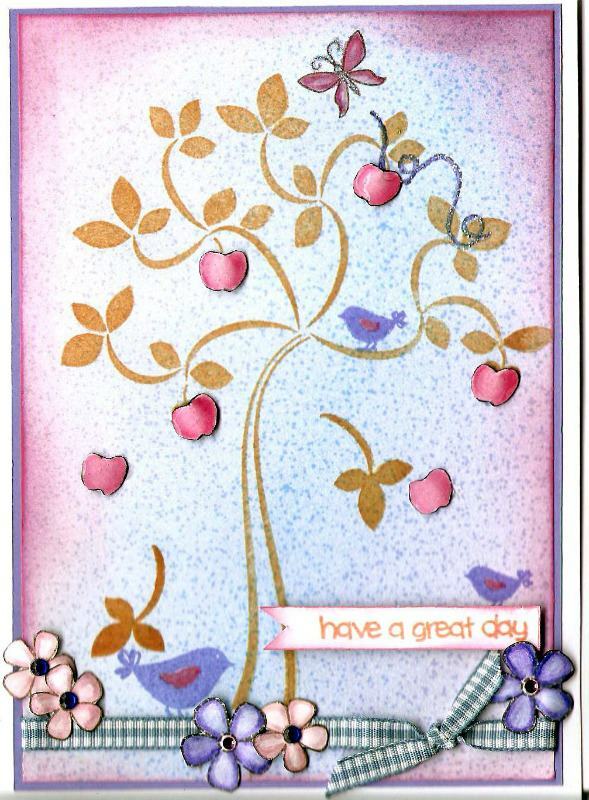 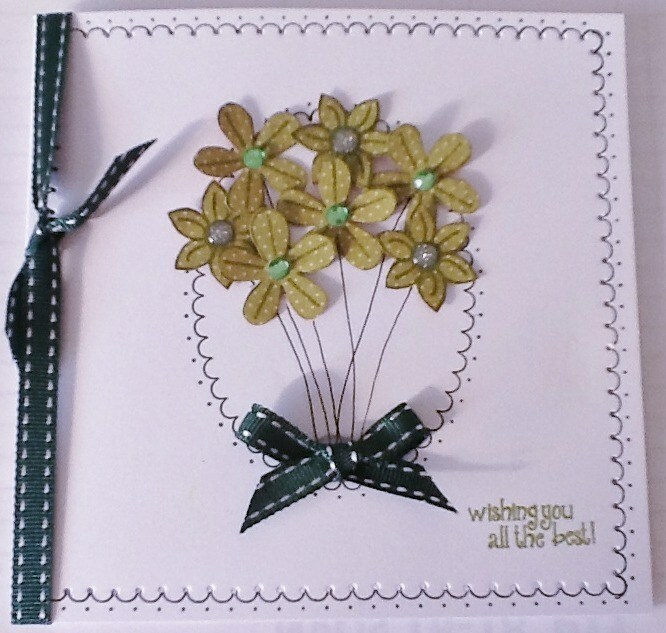 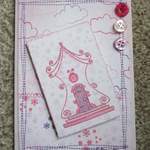 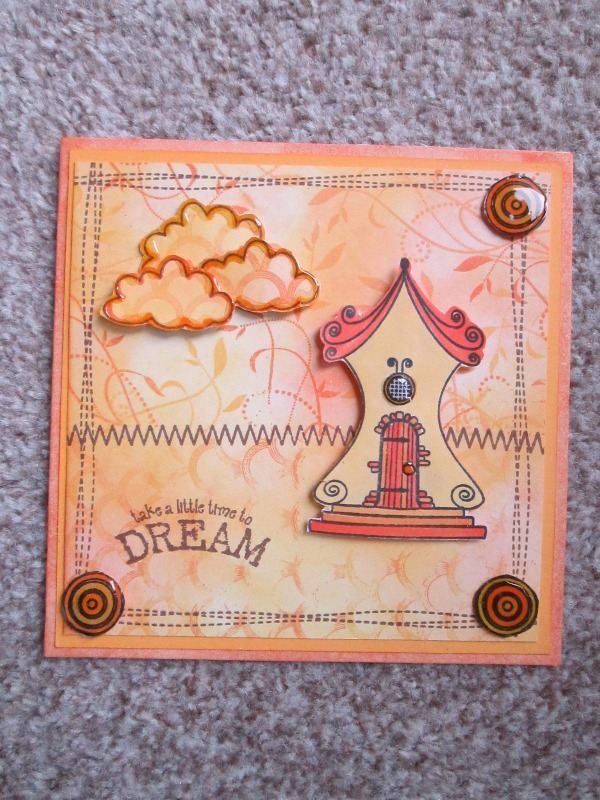 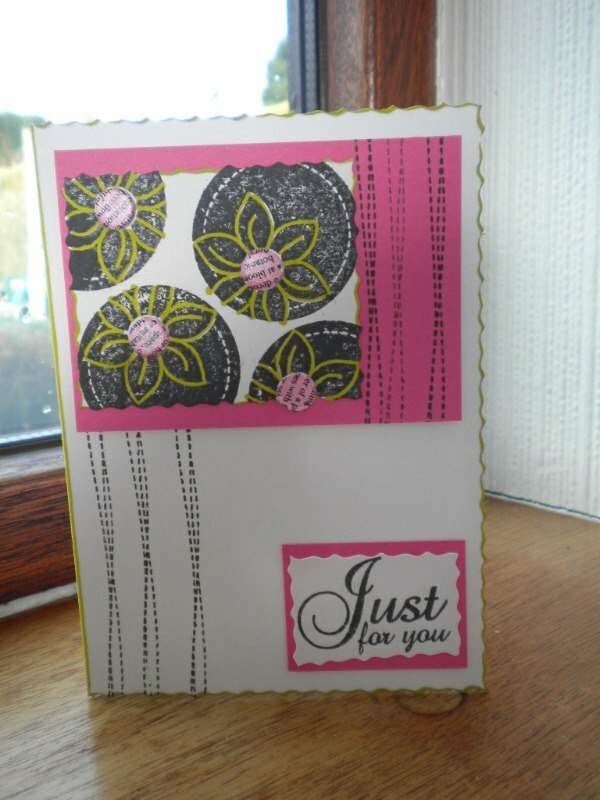 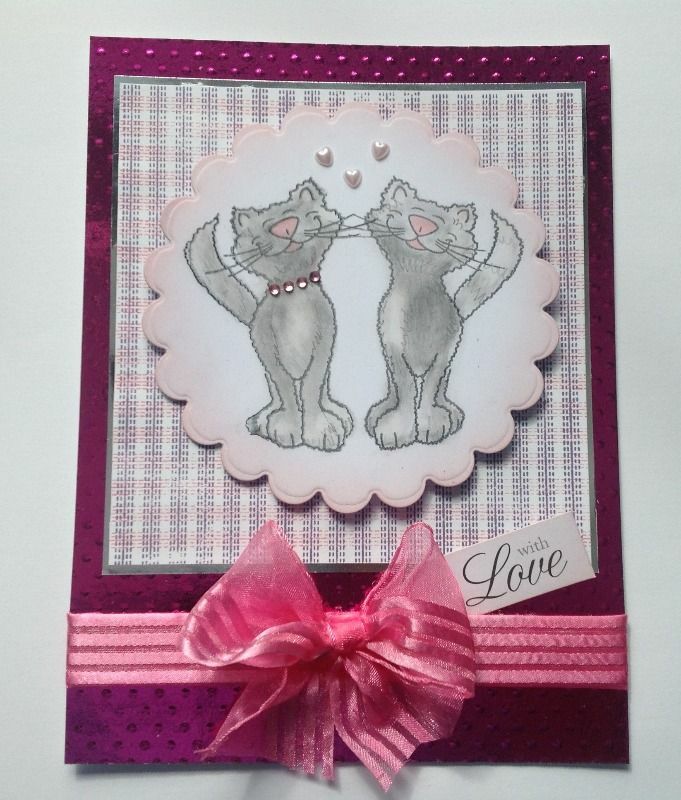 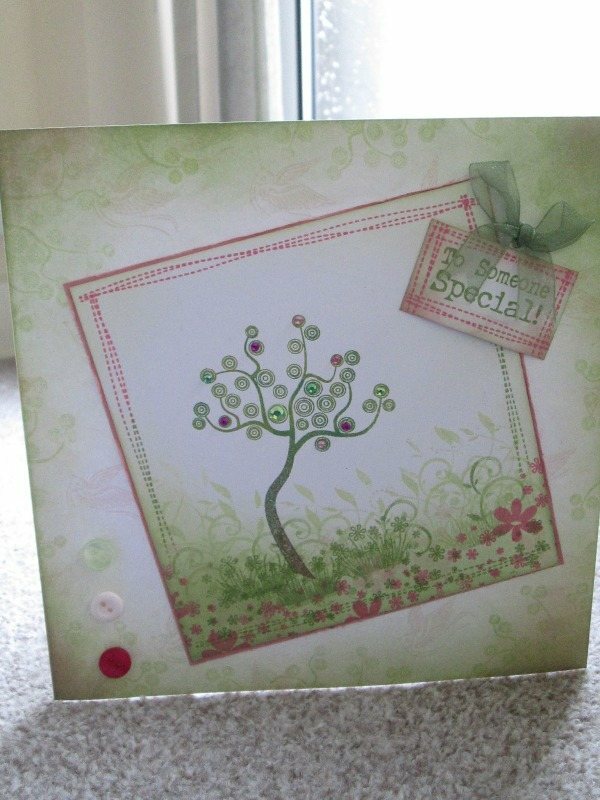 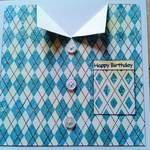 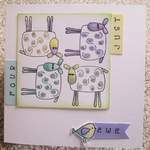 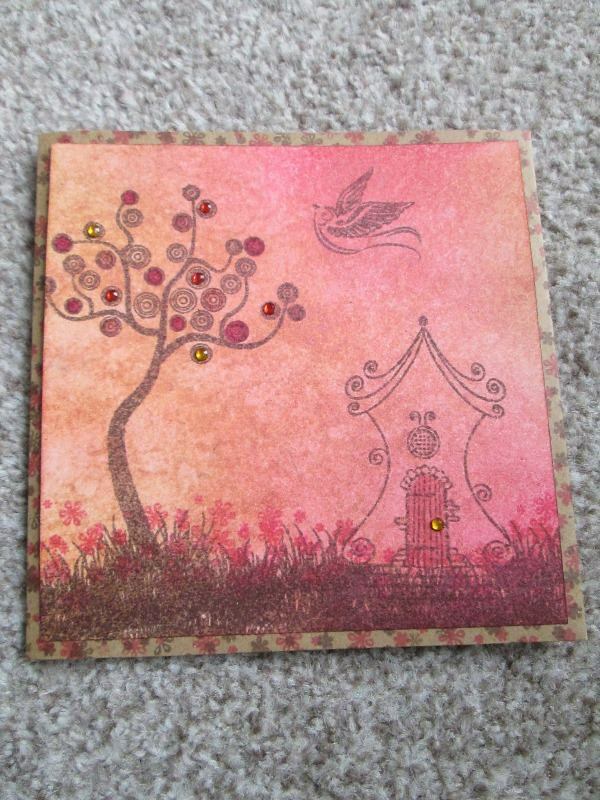 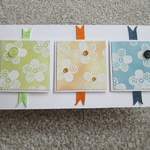 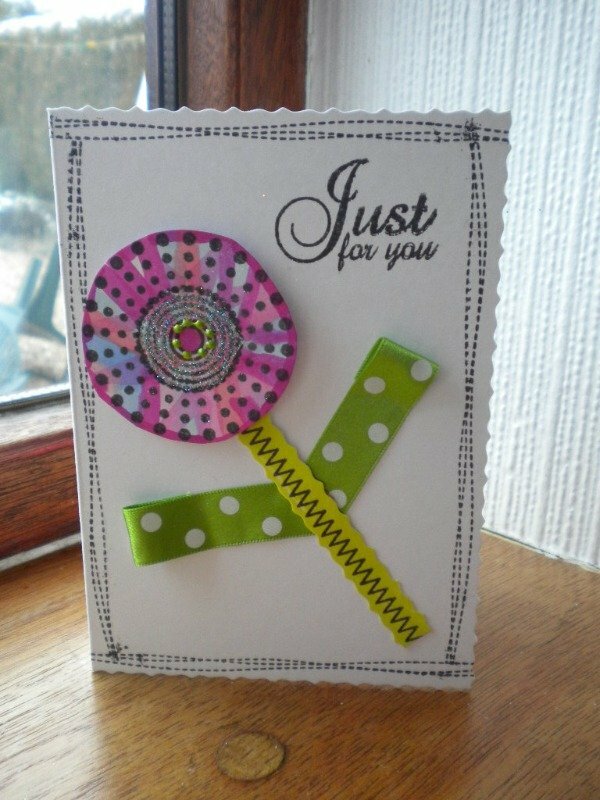 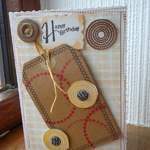 Thank you to Trudi Shury for sharing these lovely cards made using the A5 Cat's Whiskers and A5 Fabulous Fabric sets. 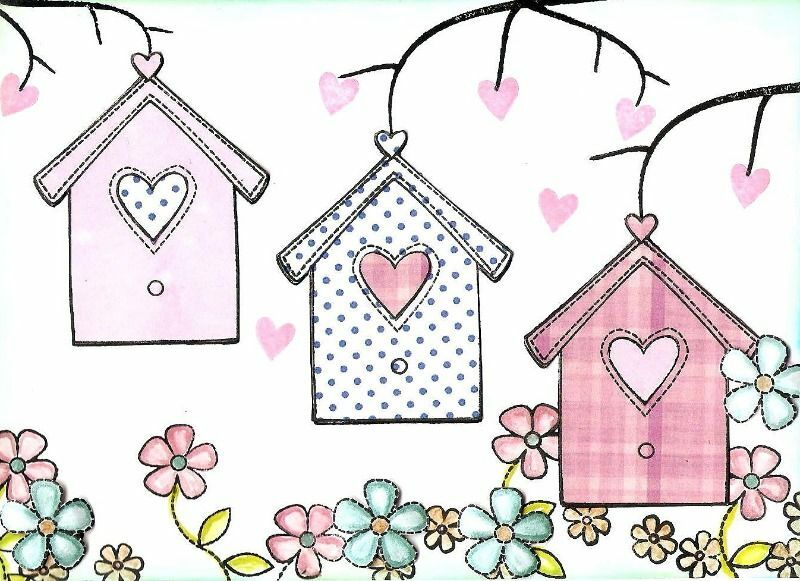 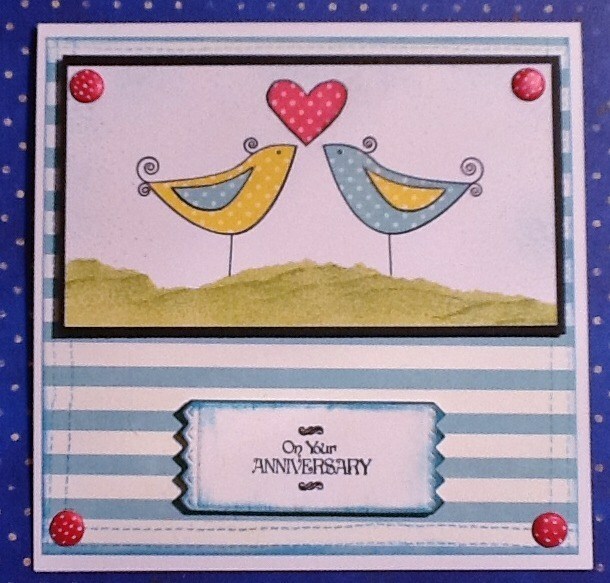 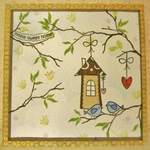 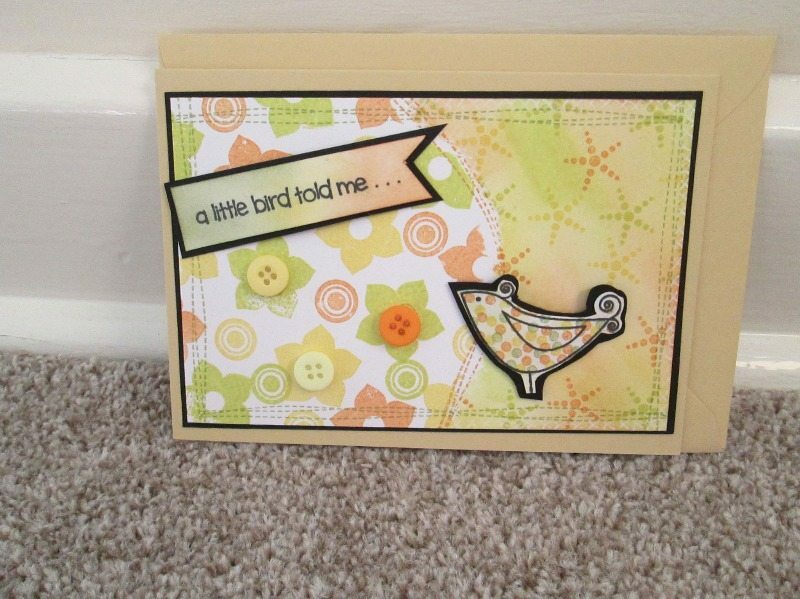 A lovely card by Eleanor Todd using the Birdie Heart A5 set with the greeting from Little Birdie A5, both still great favourites. 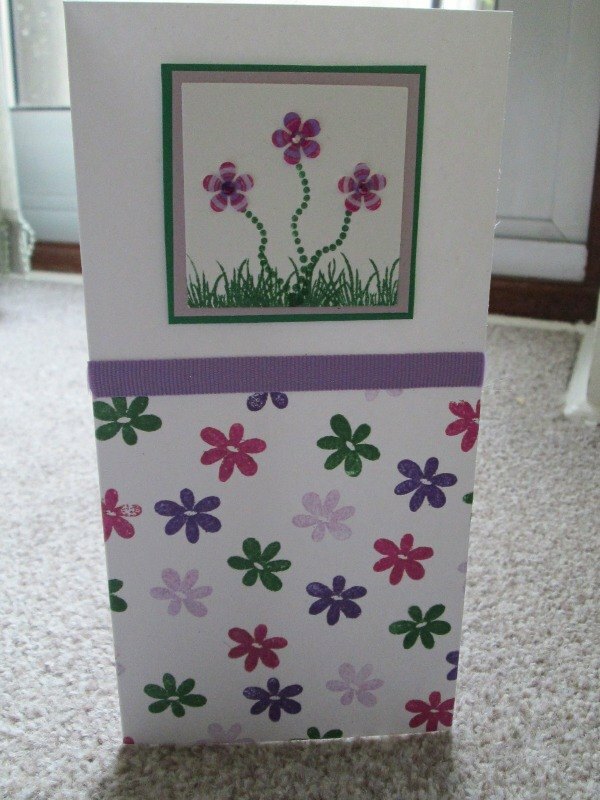 Thanks Eleanor. 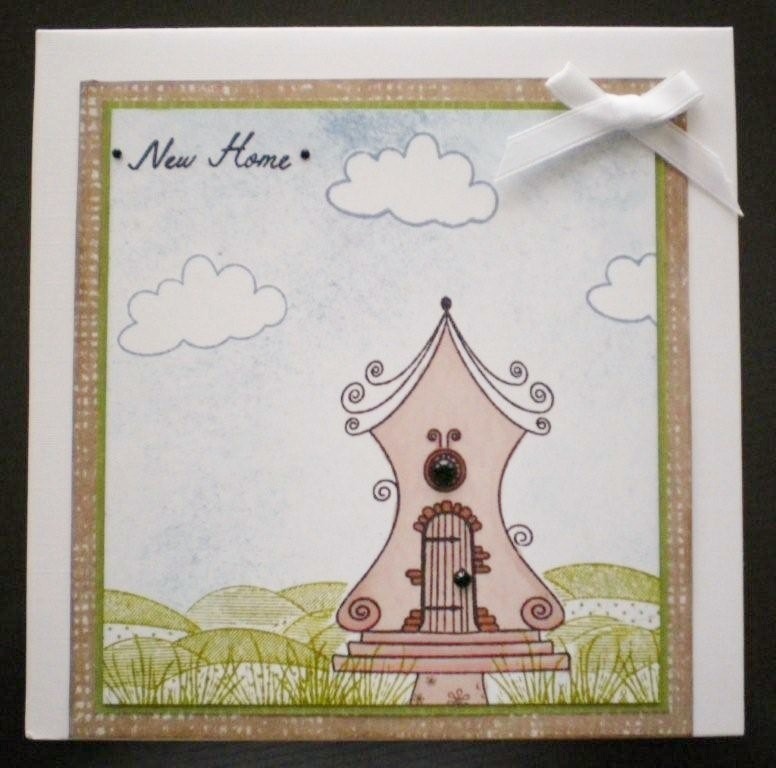 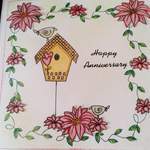 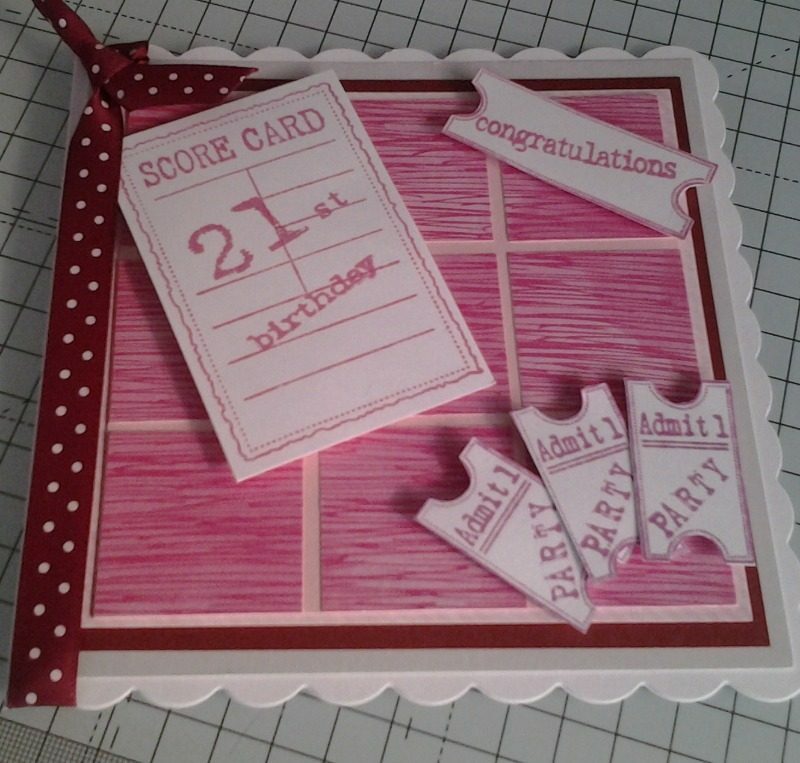 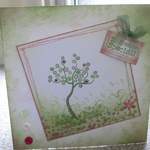 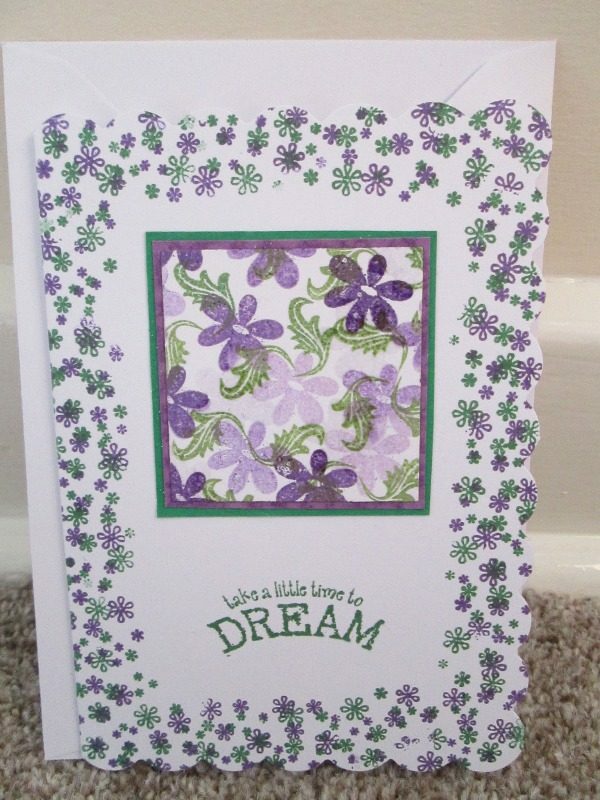 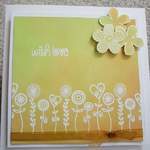 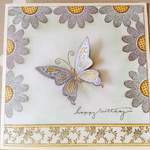 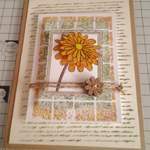 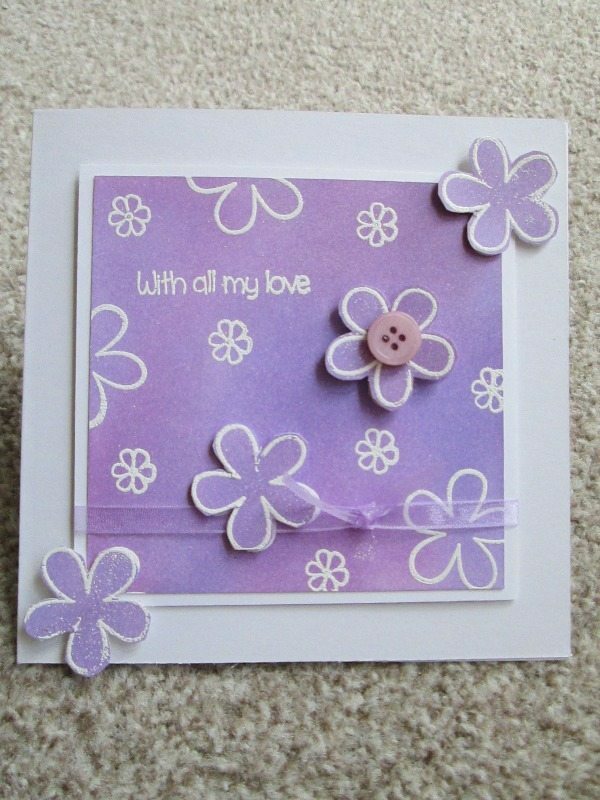 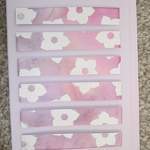 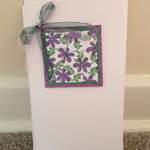 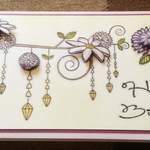 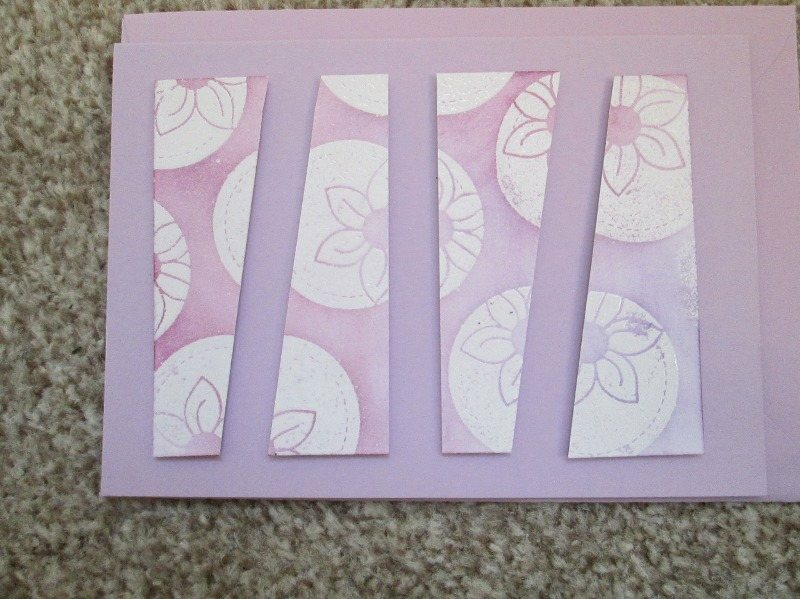 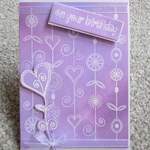 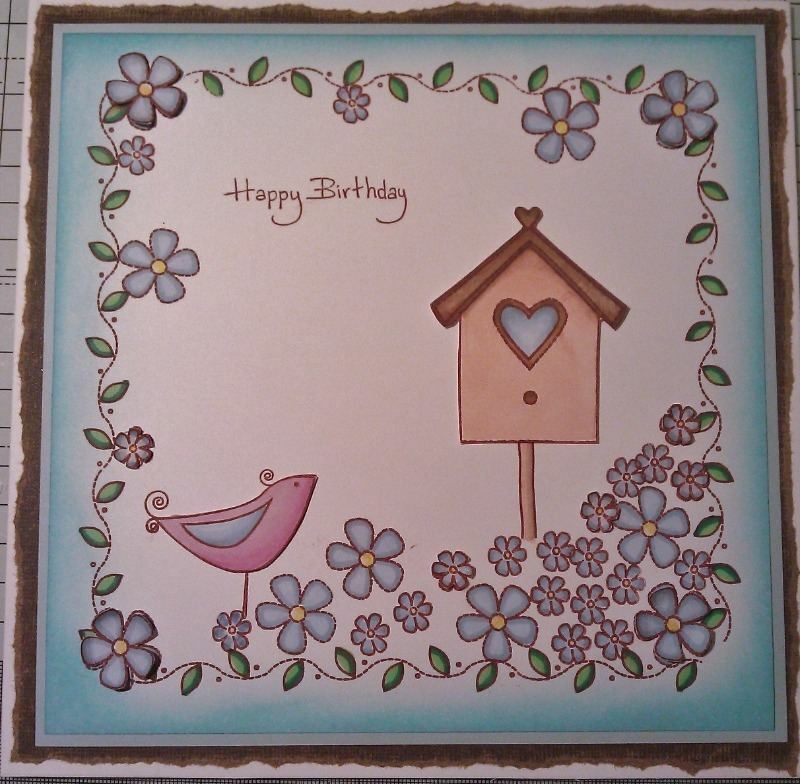 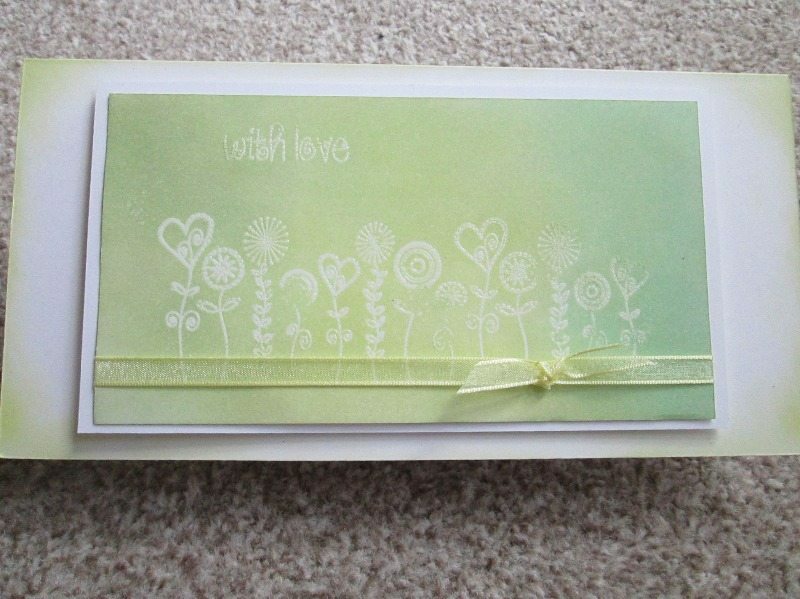 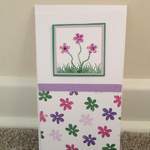 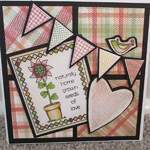 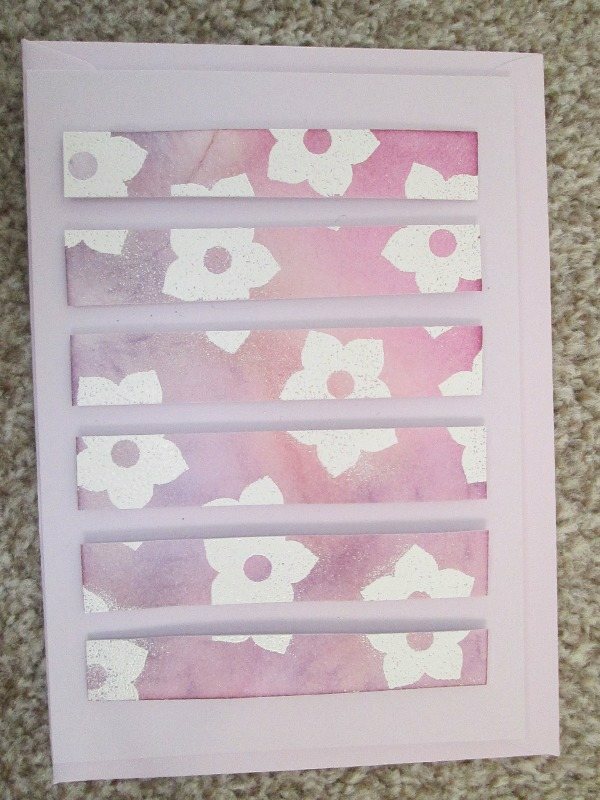 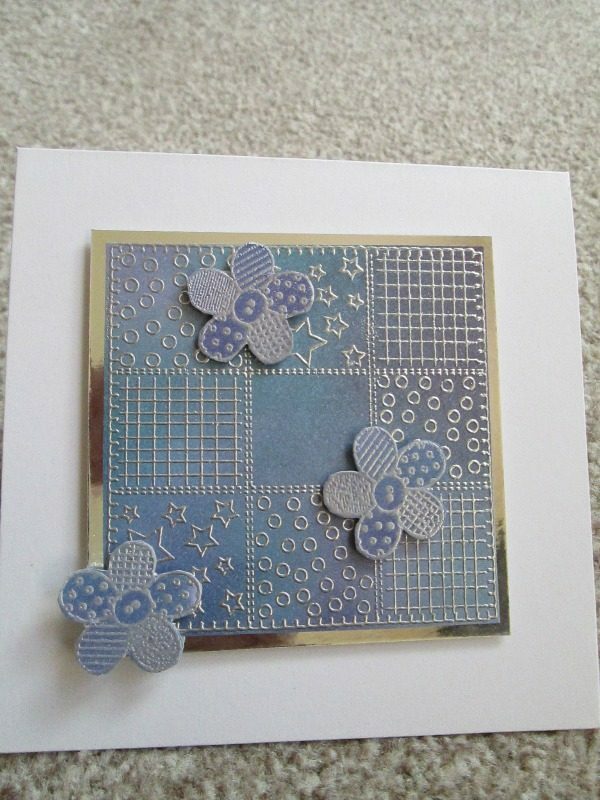 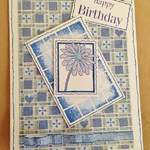 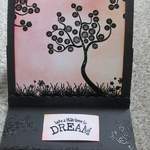 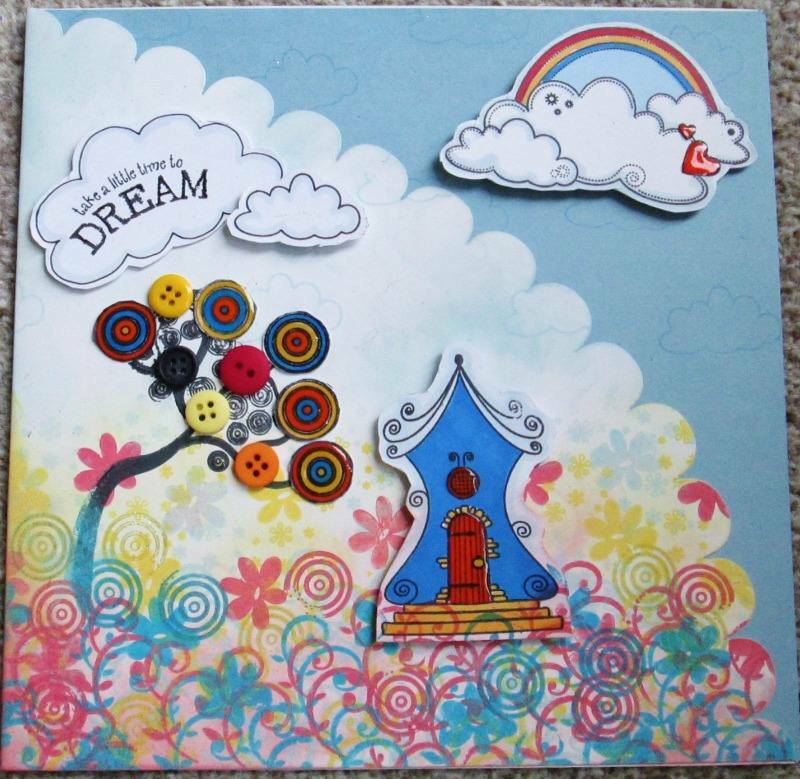 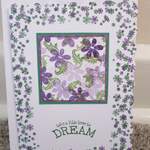 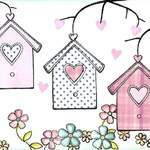 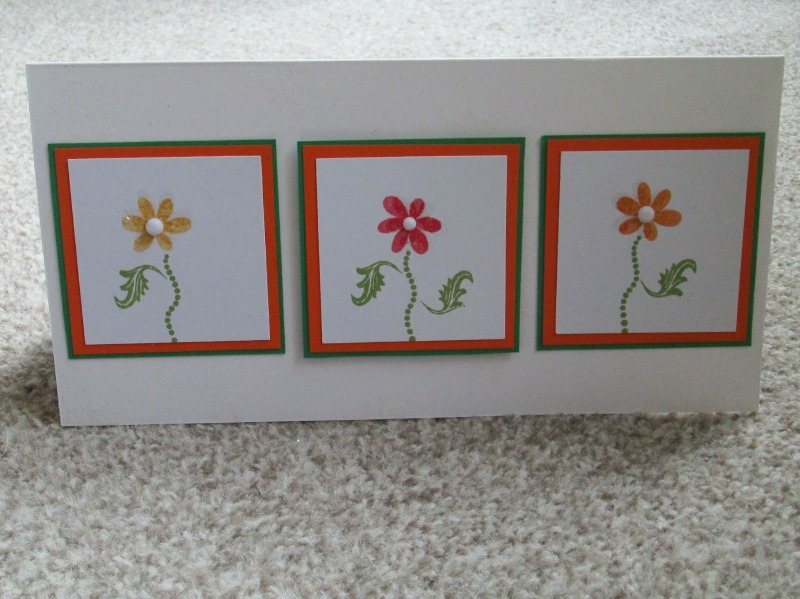 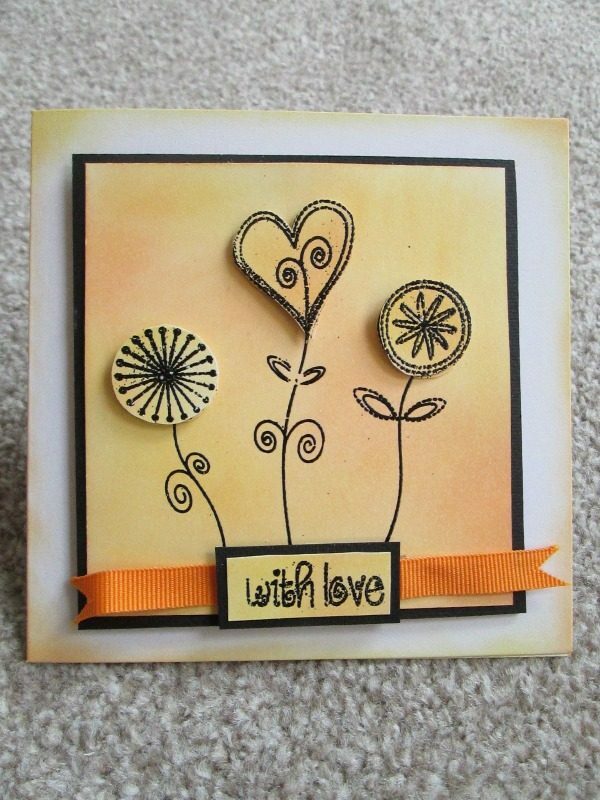 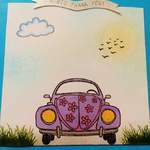 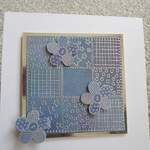 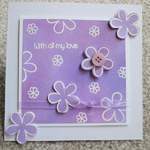 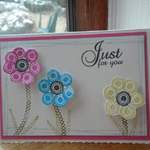 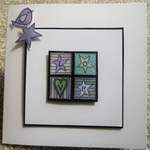 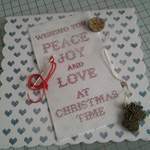 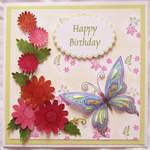 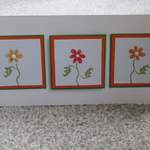 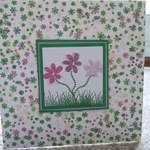 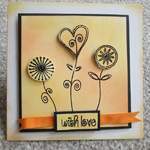 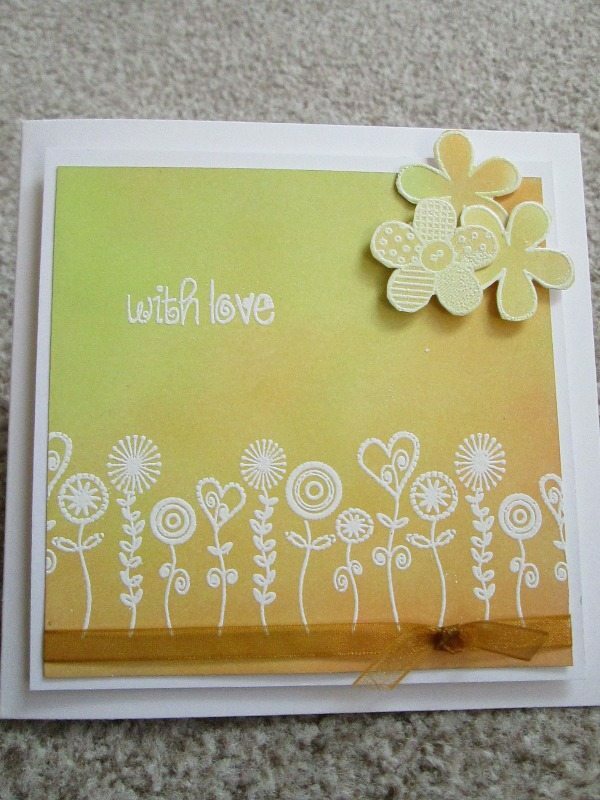 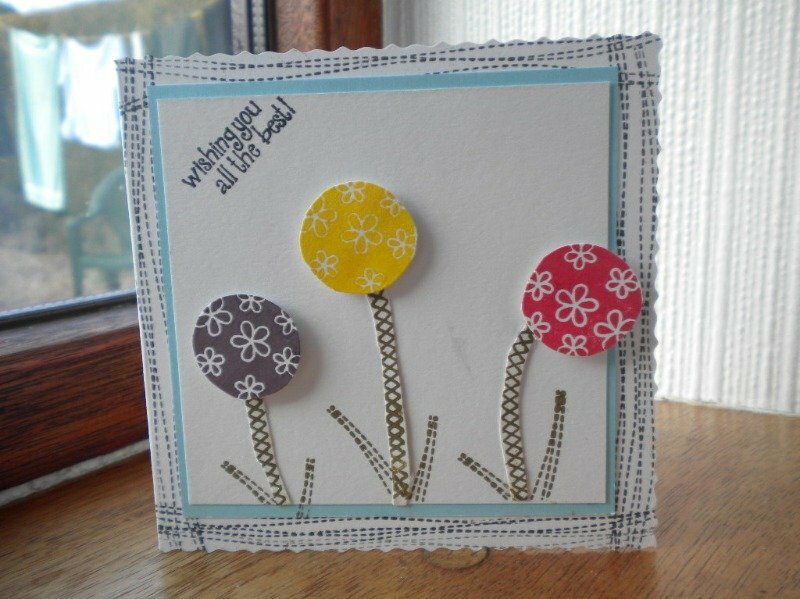 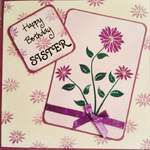 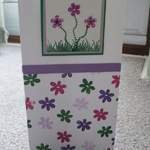 Thank you very much to Sheila Simpson for these lovely cards using the Flower Power mini stamp set, Whats the Score A5 and Patchwork Sentiments A5. 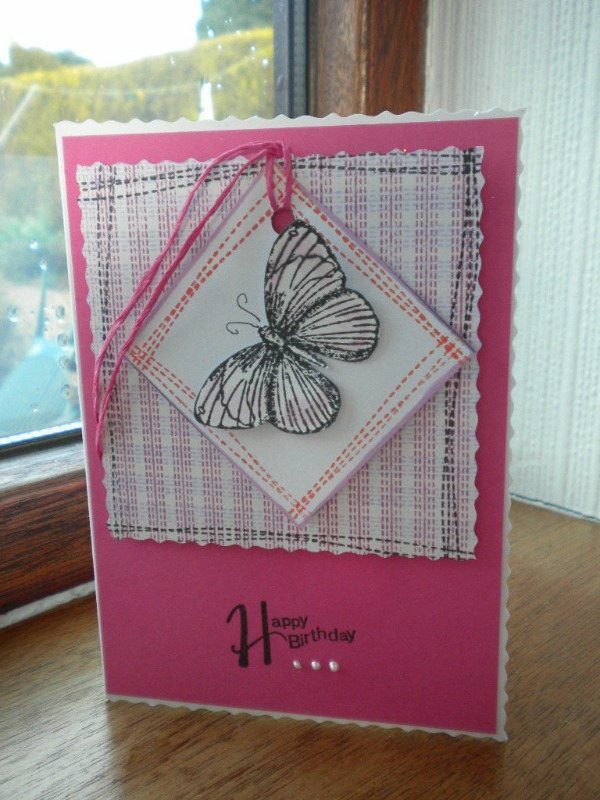 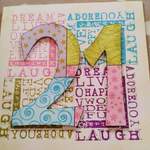 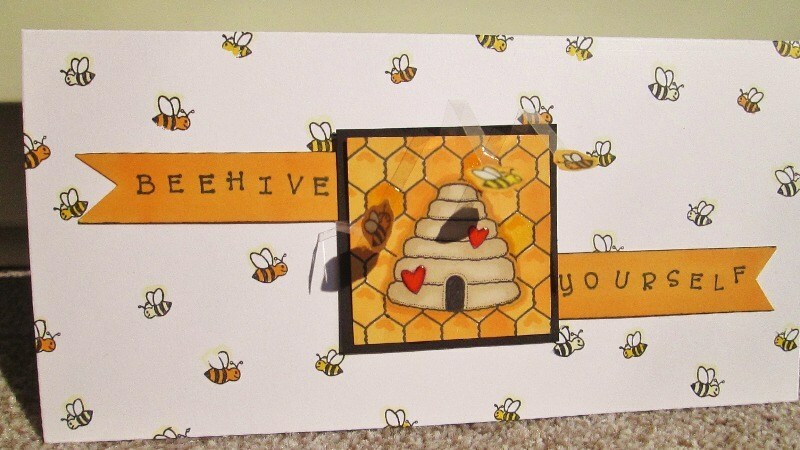 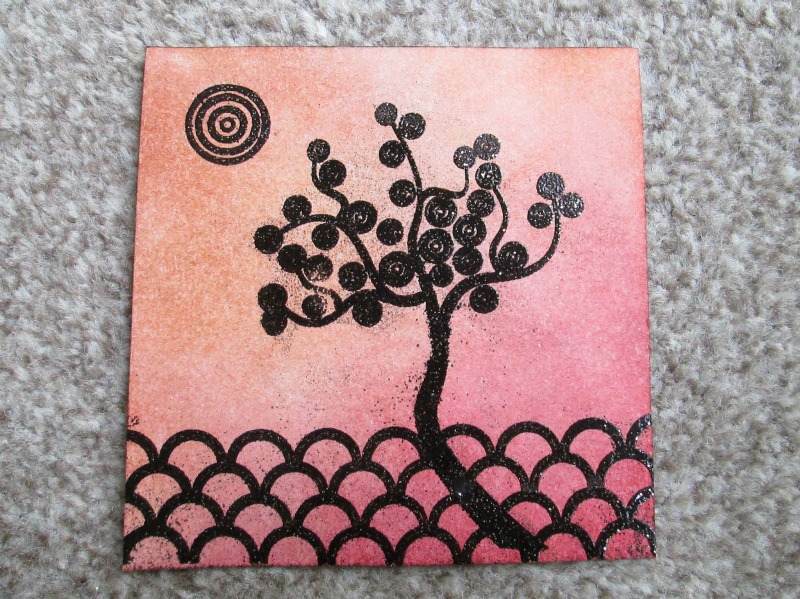 It's always great to see what everyone is doing with their stamps so keep on sending them in please! 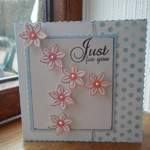 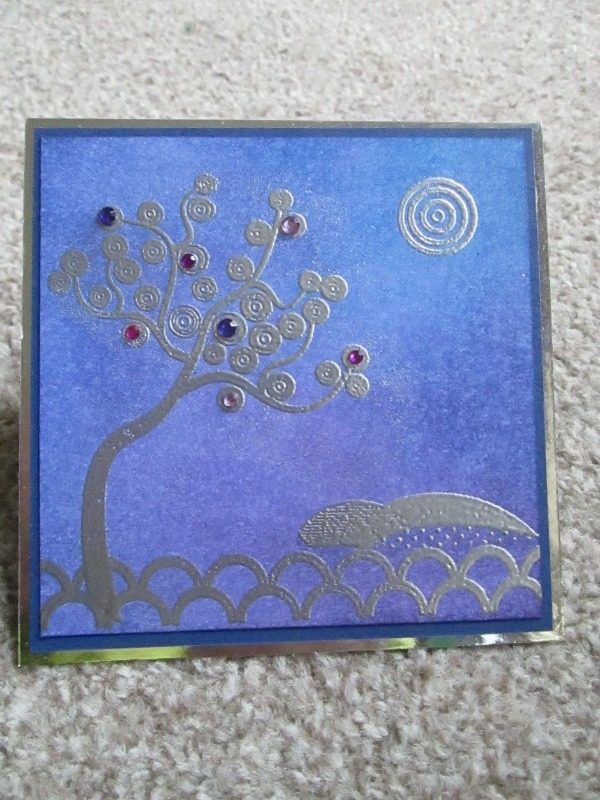 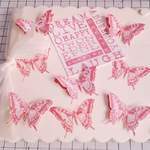 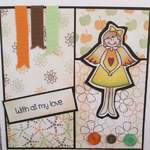 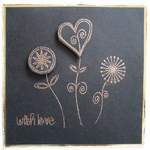 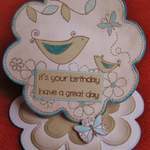 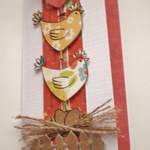 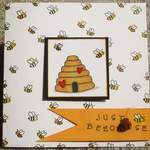 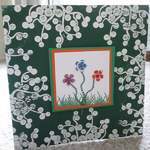 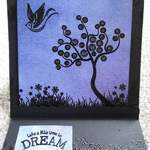 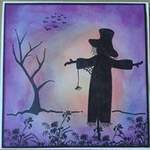 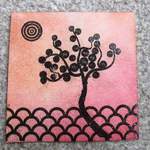 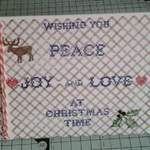 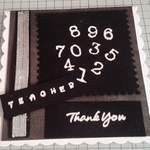 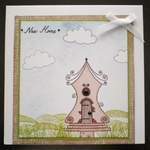 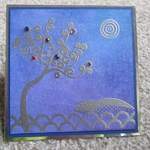 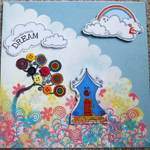 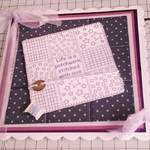 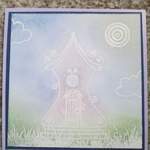 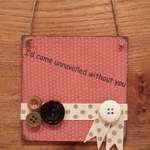 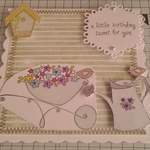 Many, many thanks to Claire Vine for sharing so many wonderful creations with us, you must have been very busy Claire!! 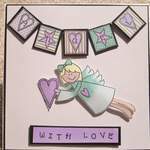 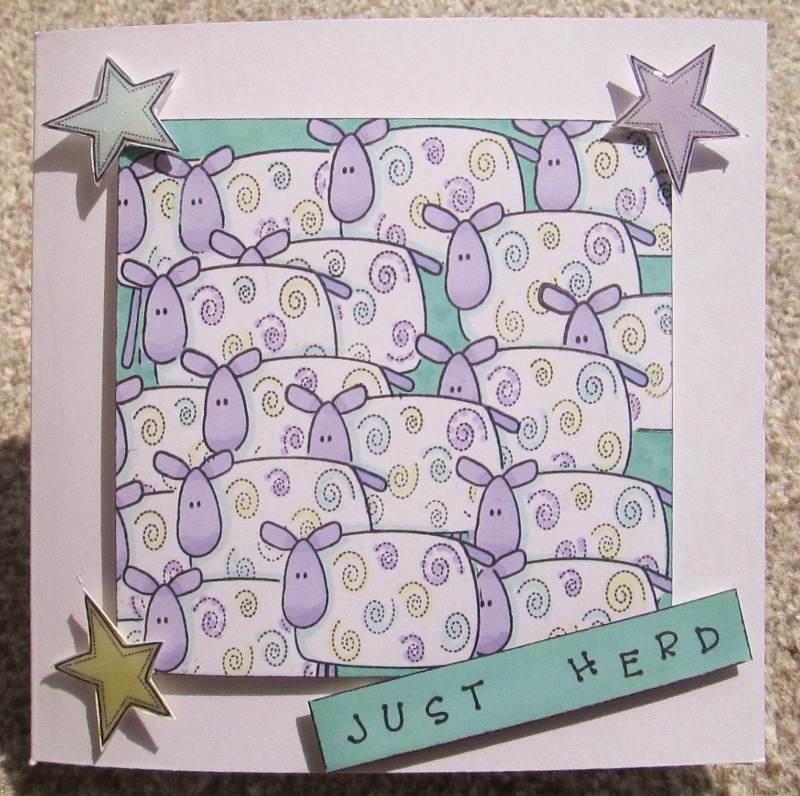 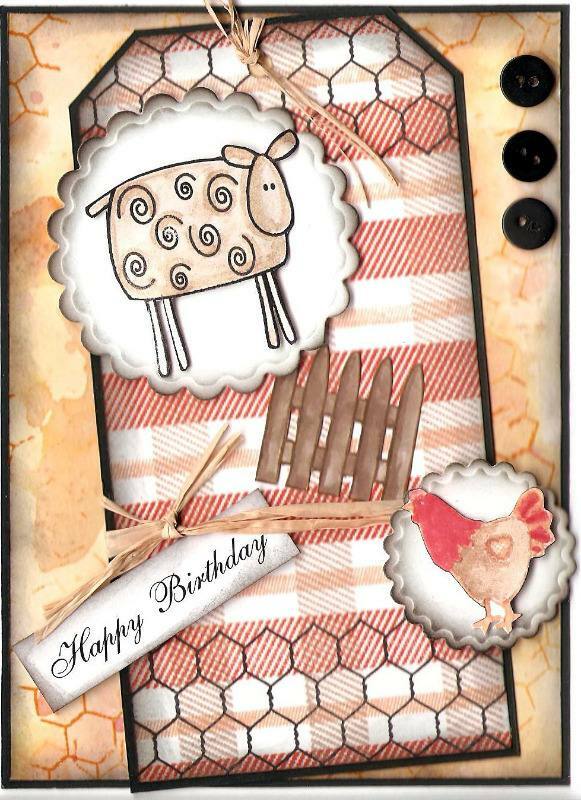 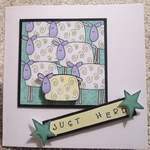 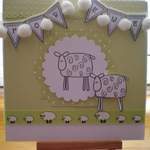 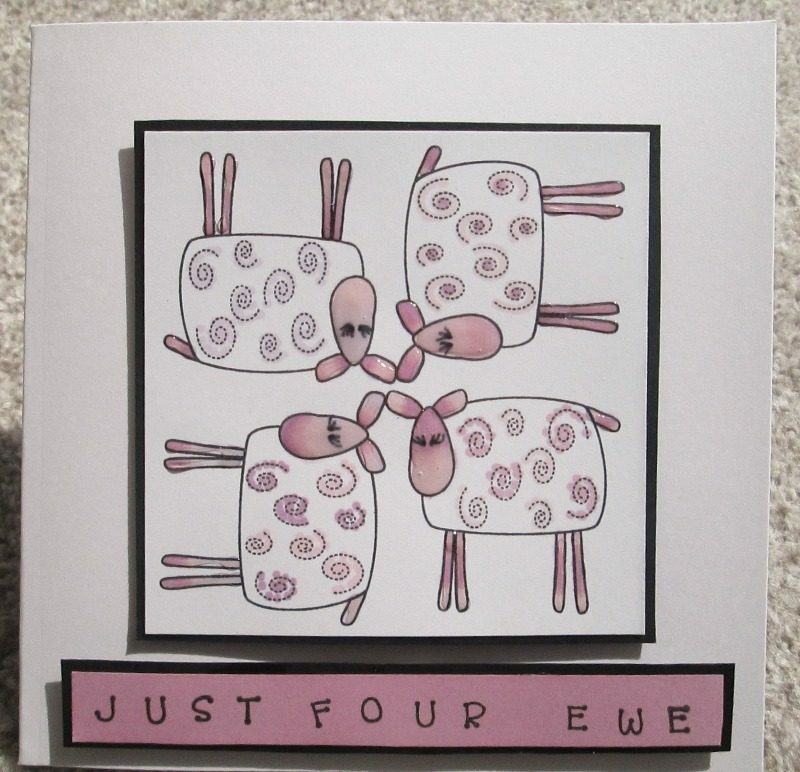 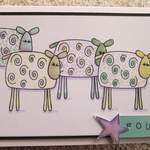 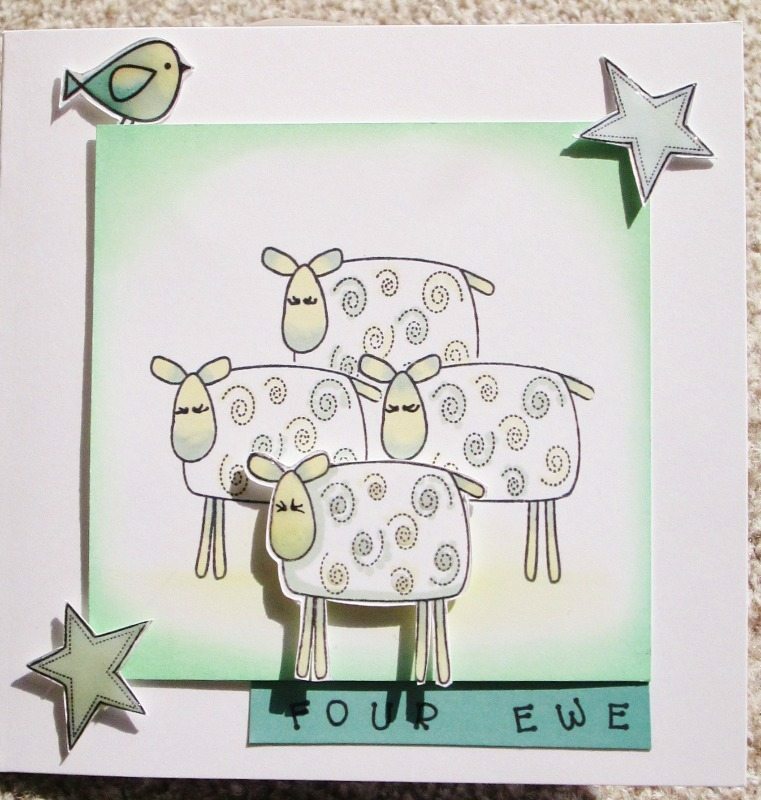 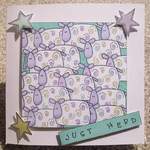 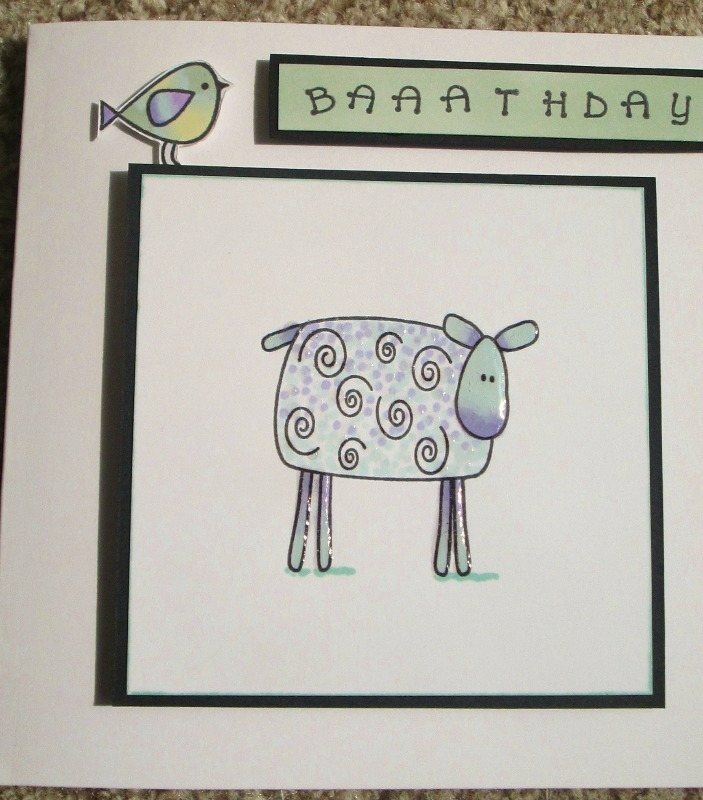 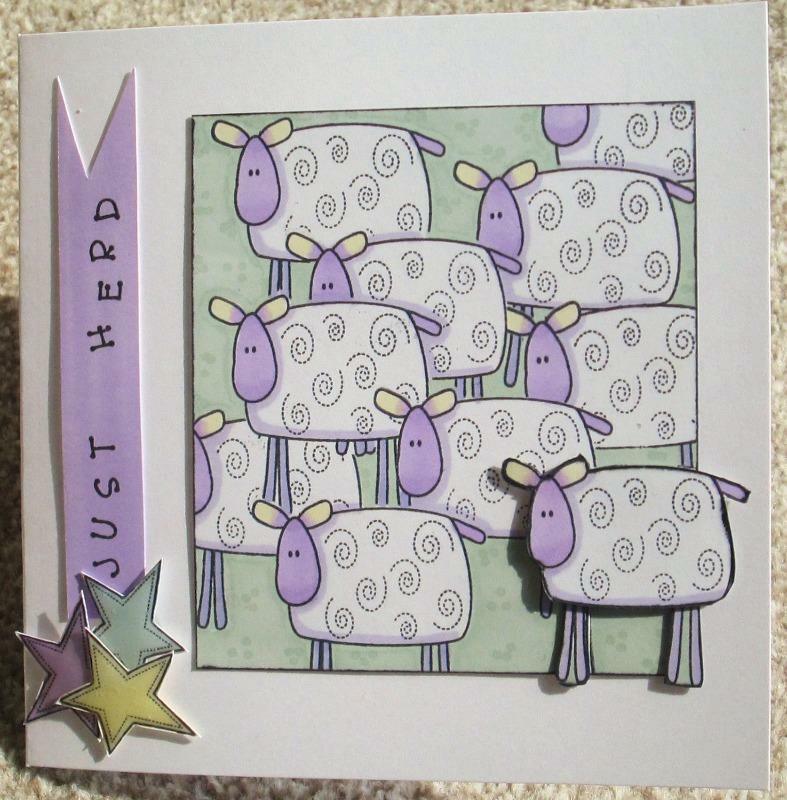 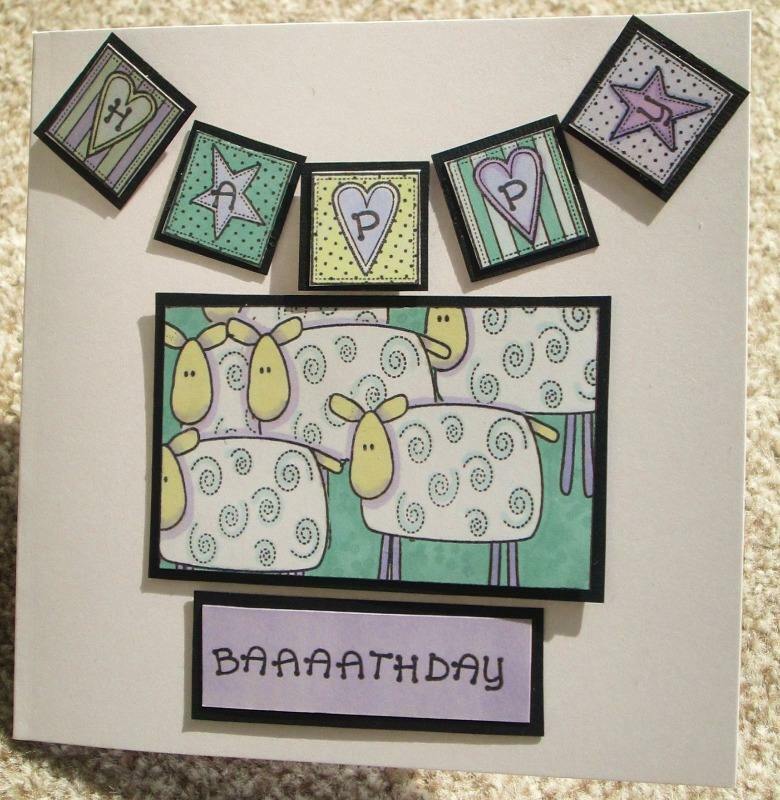 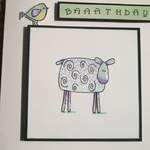 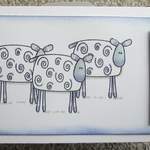 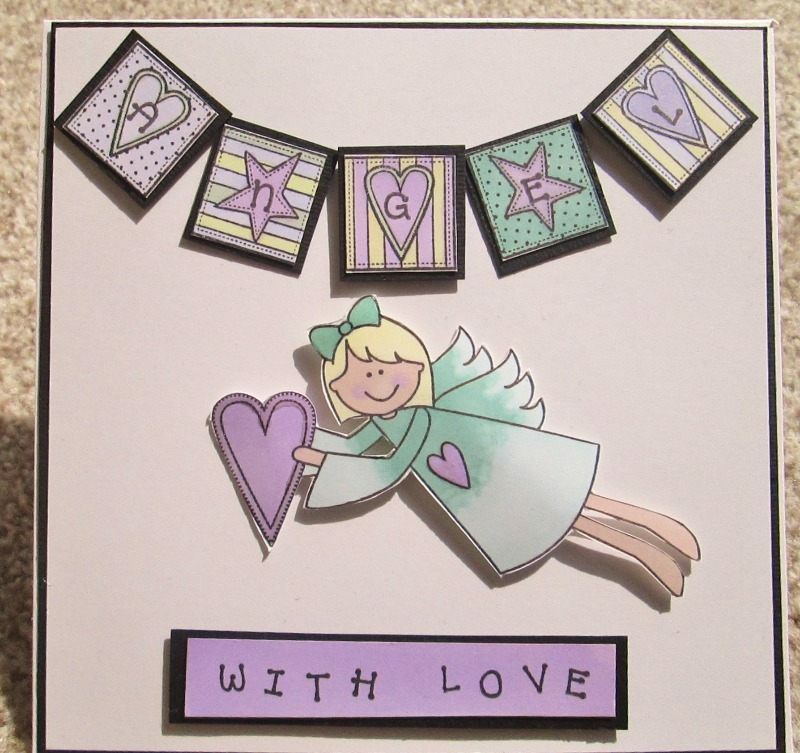 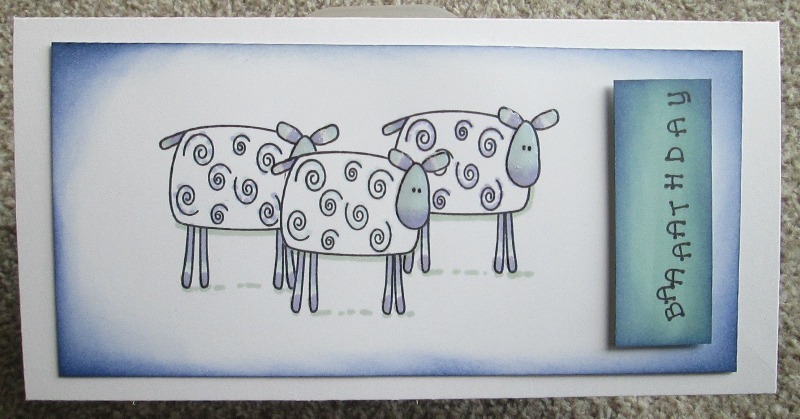 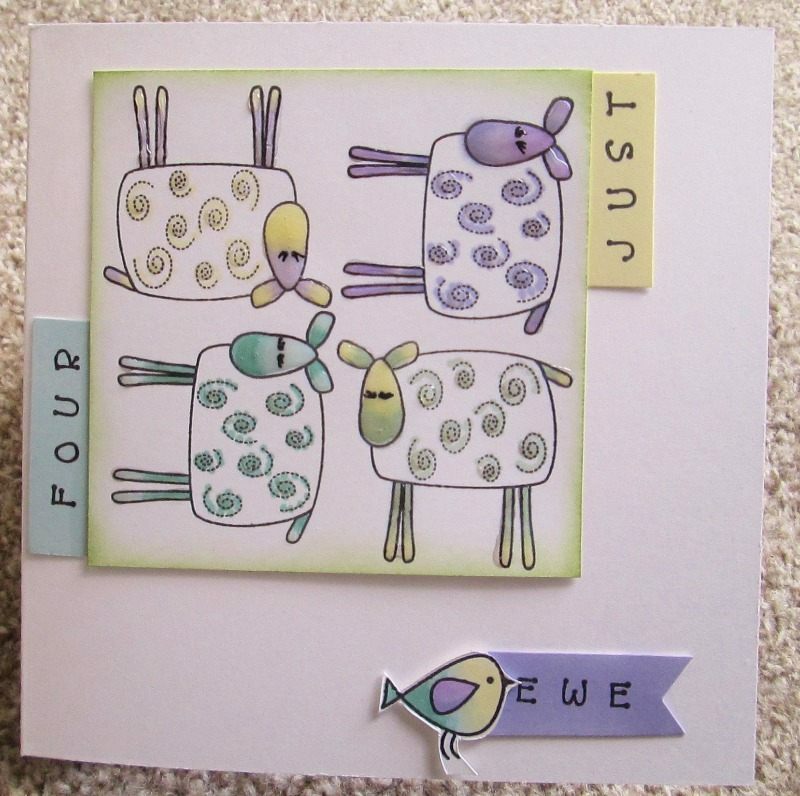 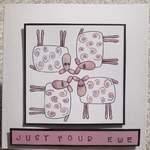 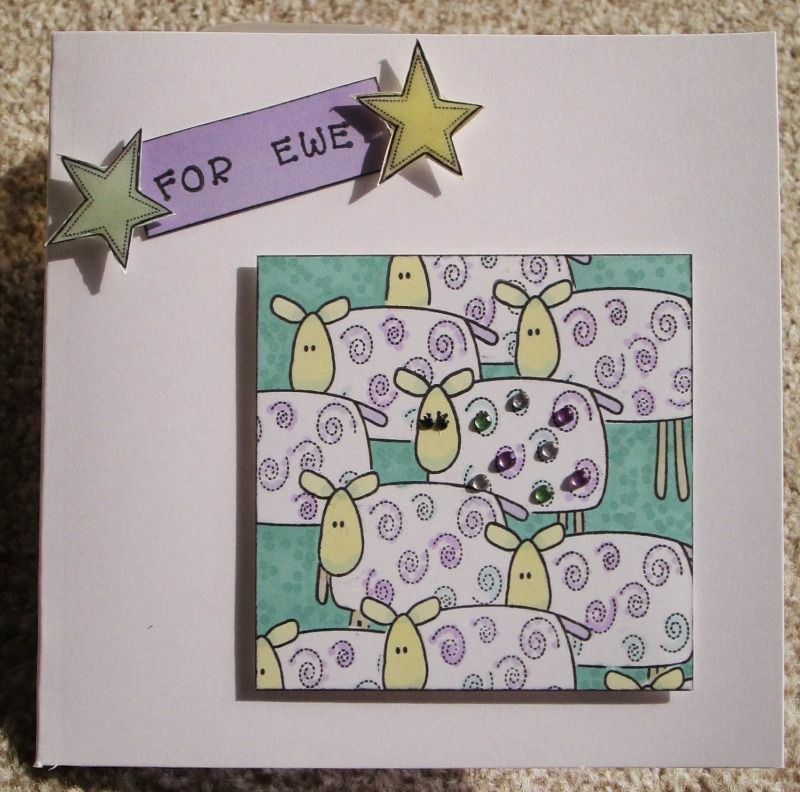 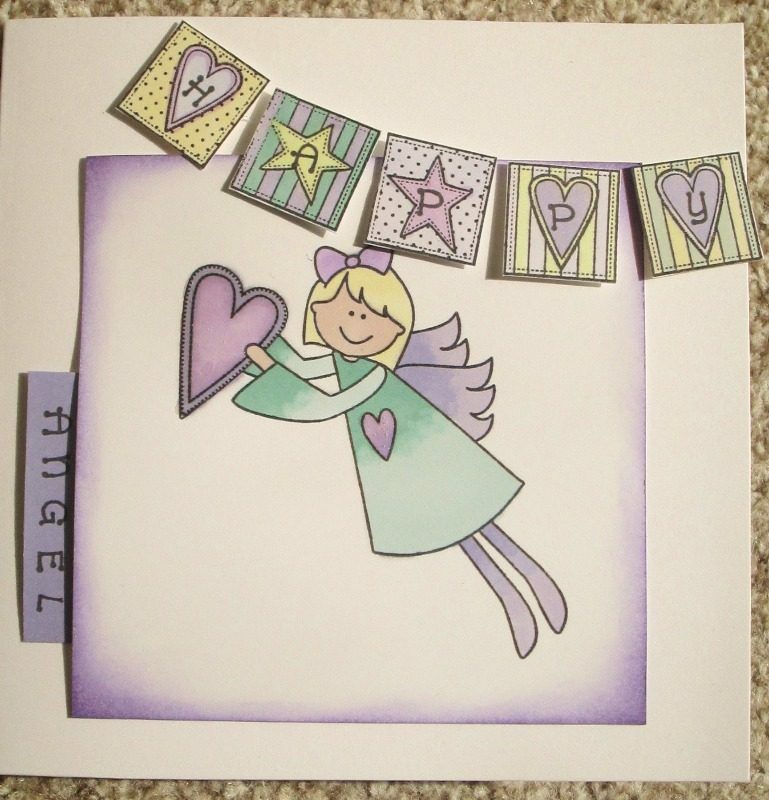 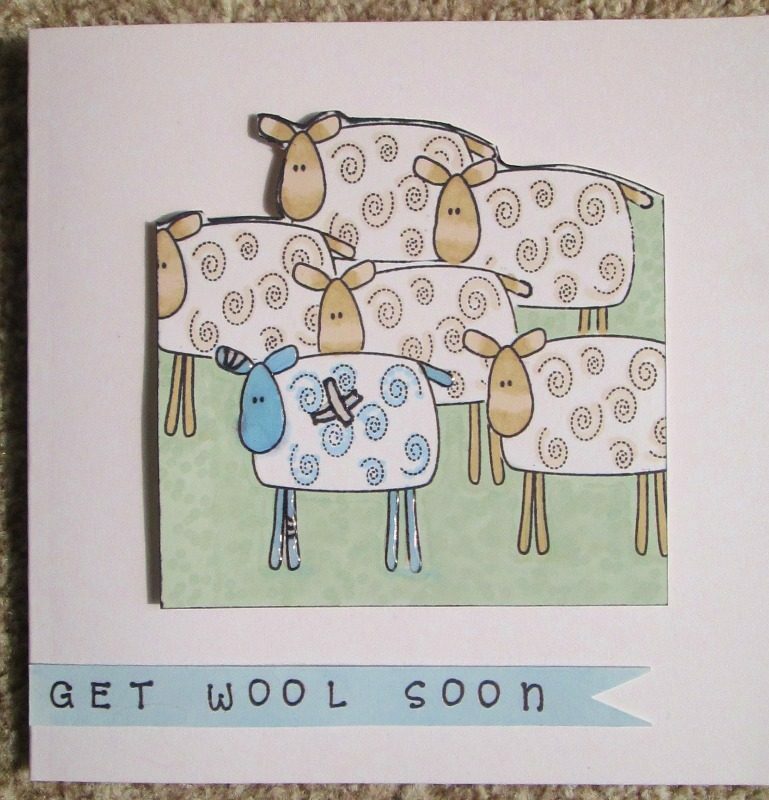 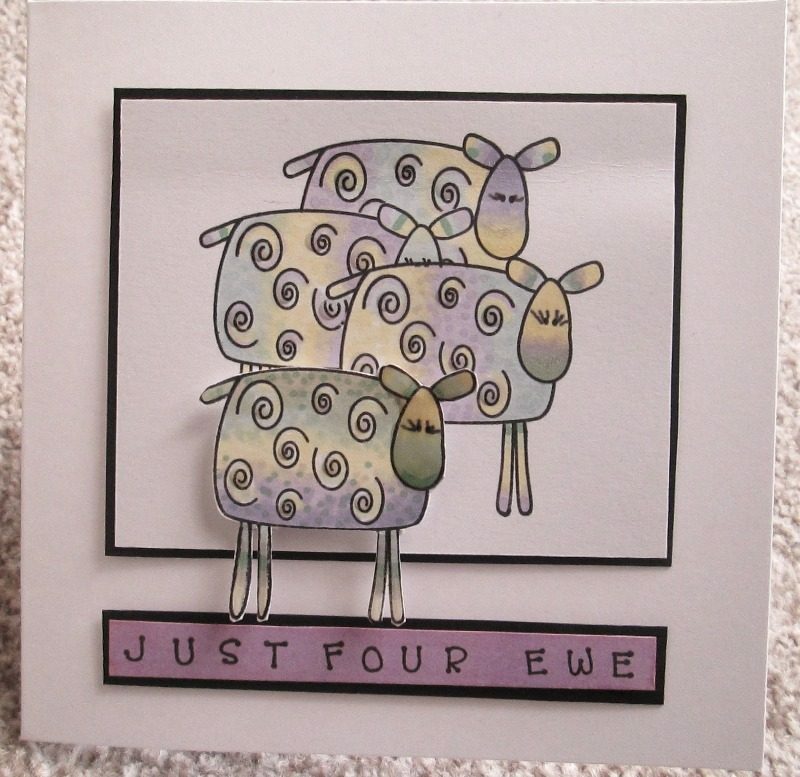 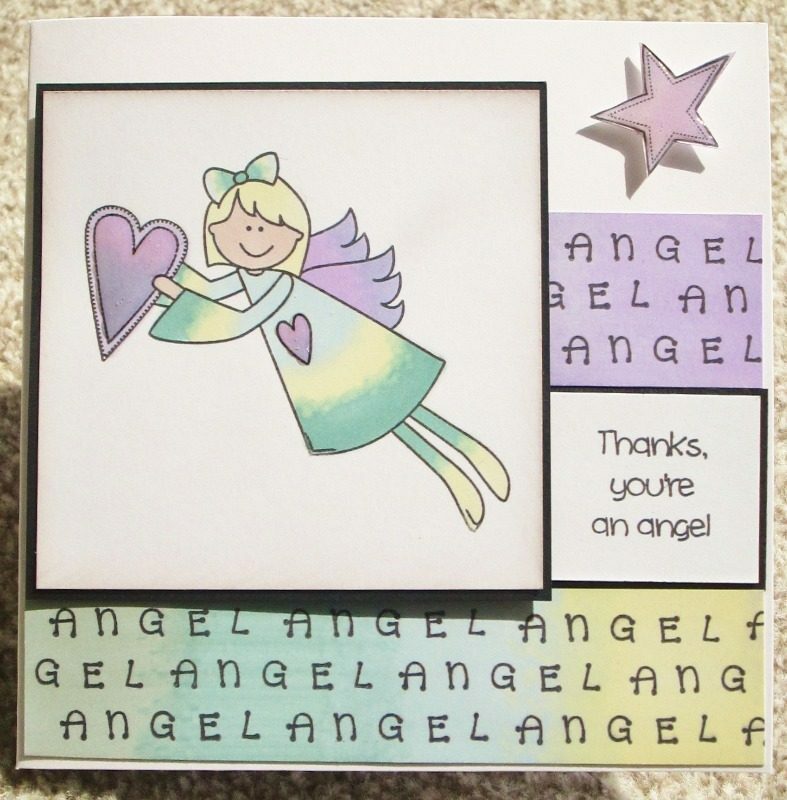 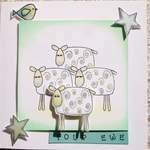 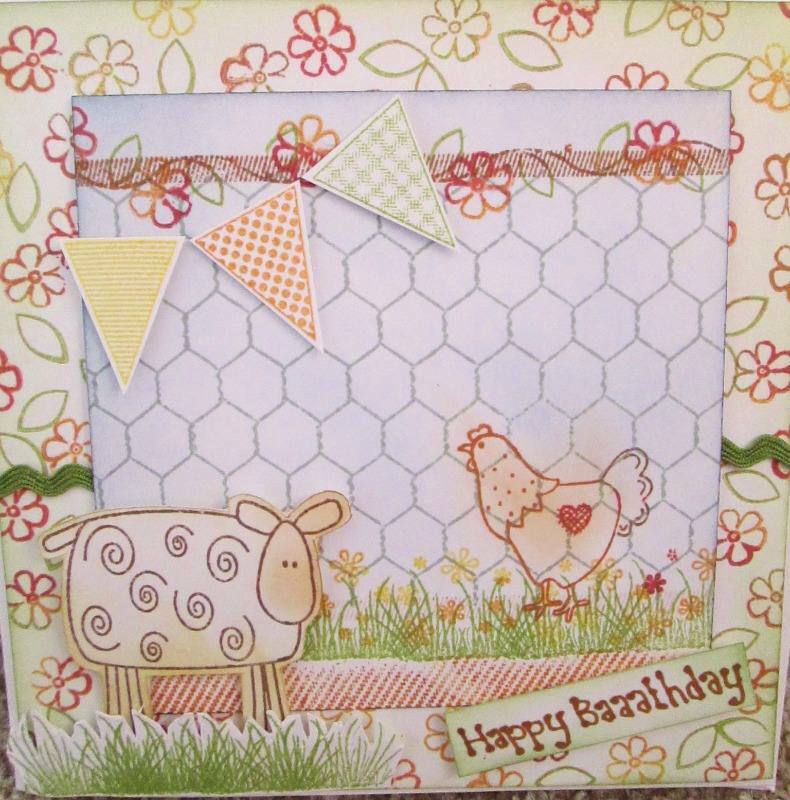 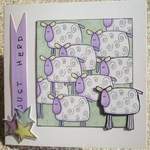 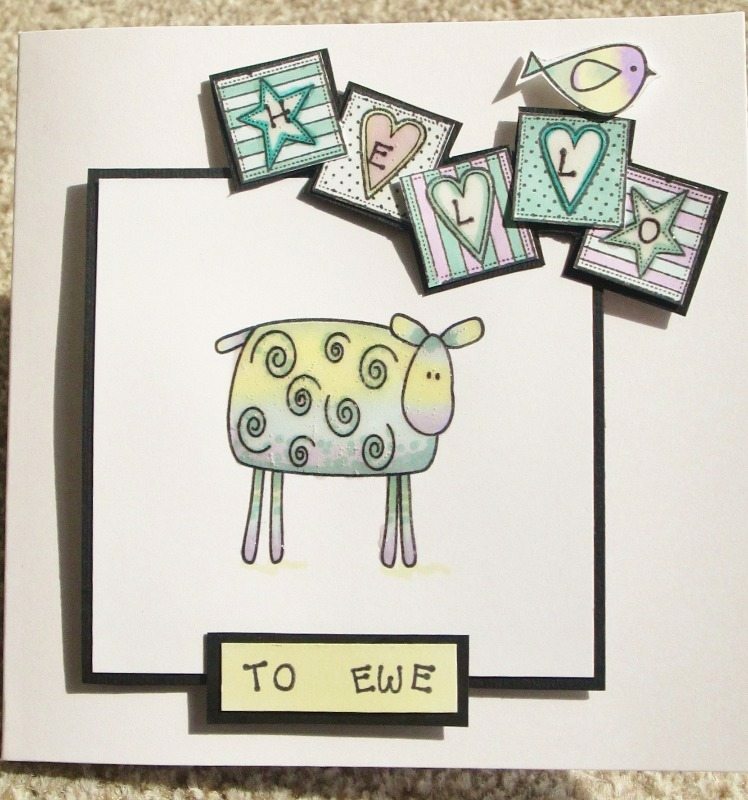 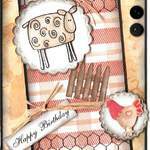 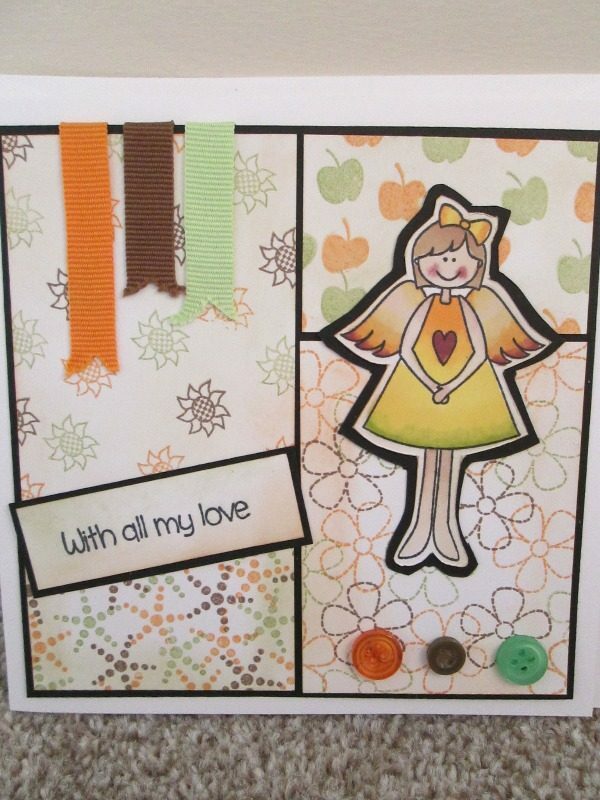 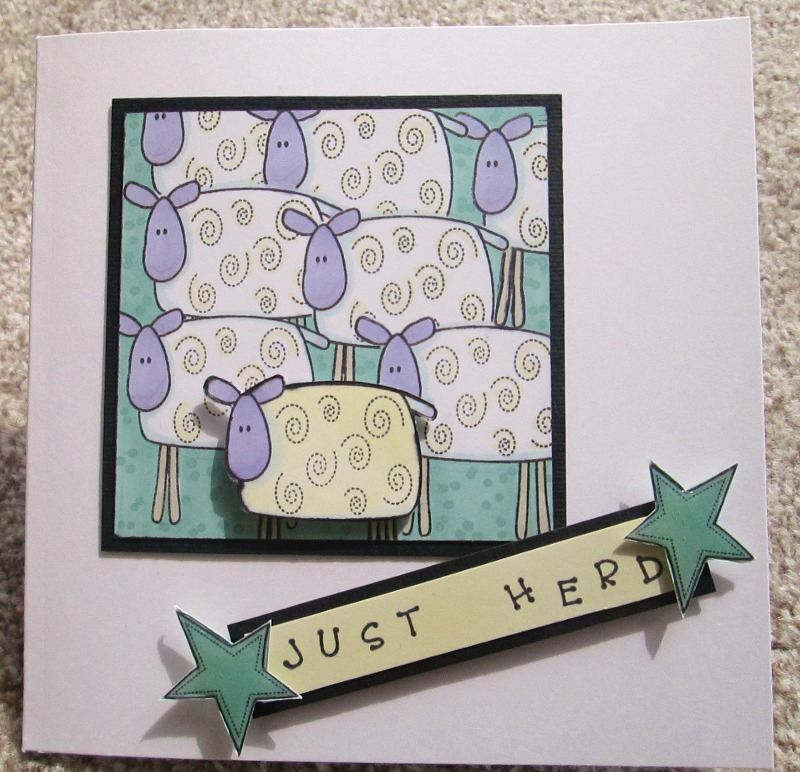 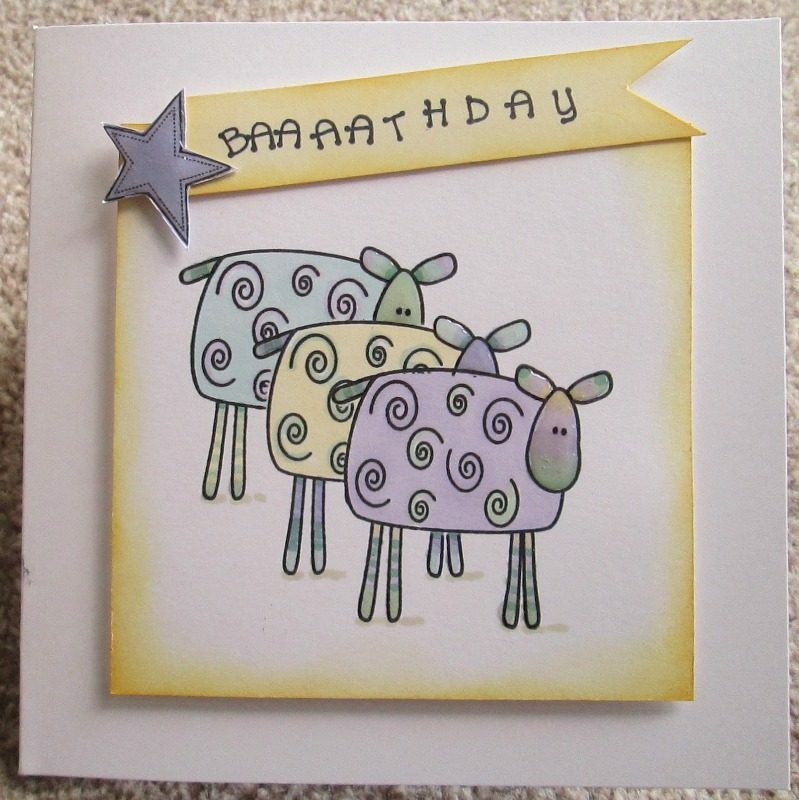 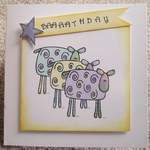 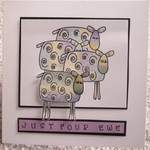 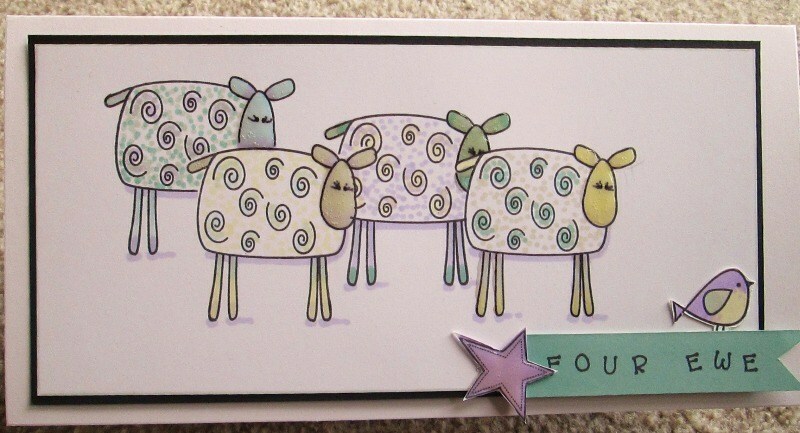 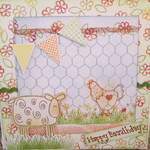 Thanks once again to Claire Vine for sharing these cards with us, she has used Primitive Angel and Primitive Angel 2, that's a lot of sheep Claire! 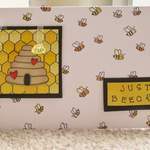 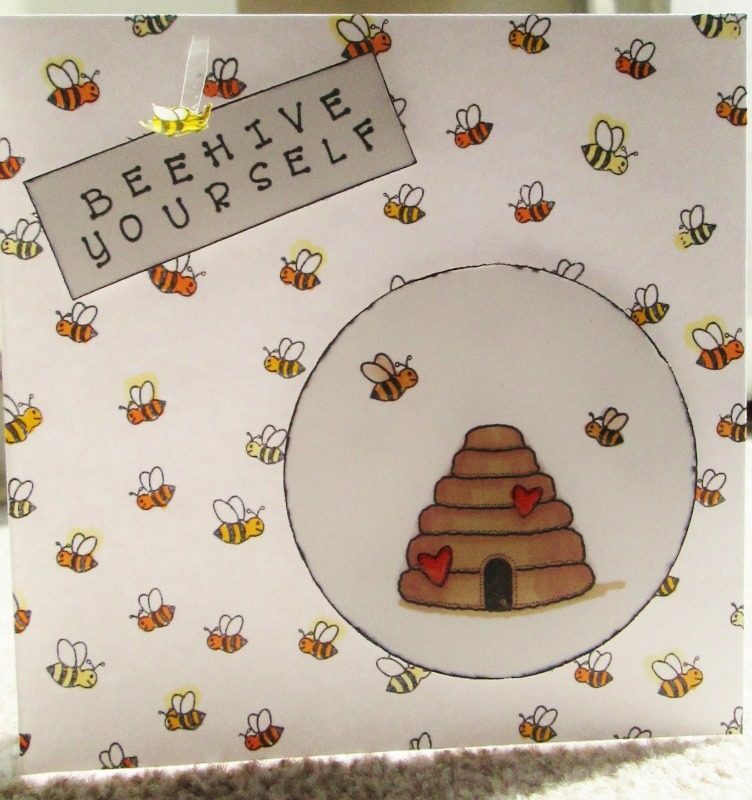 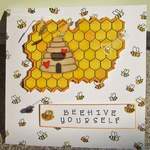 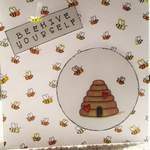 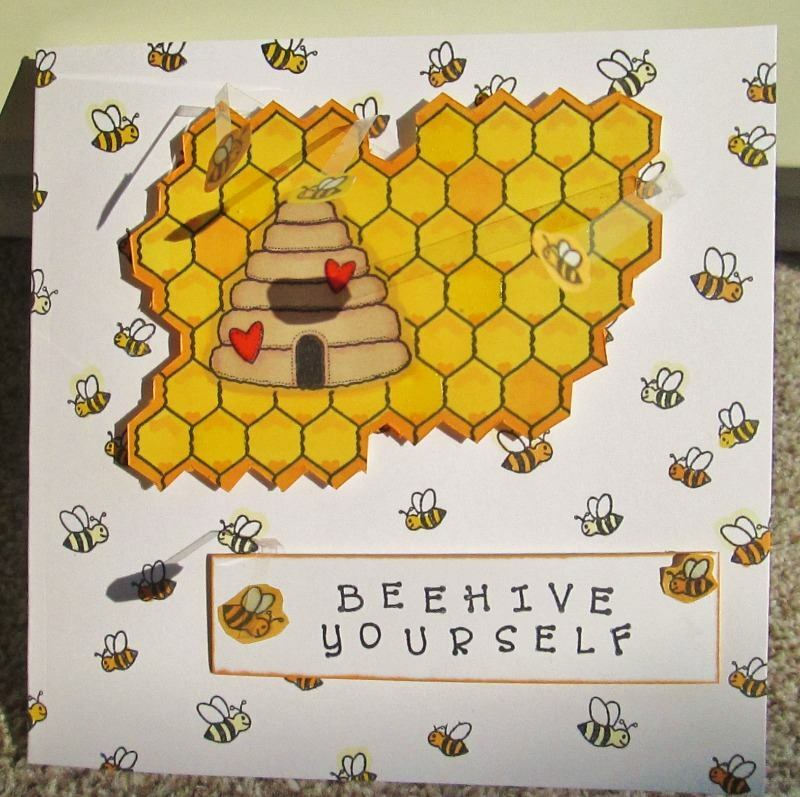 I particularly like the "behive" ones, brilliant. 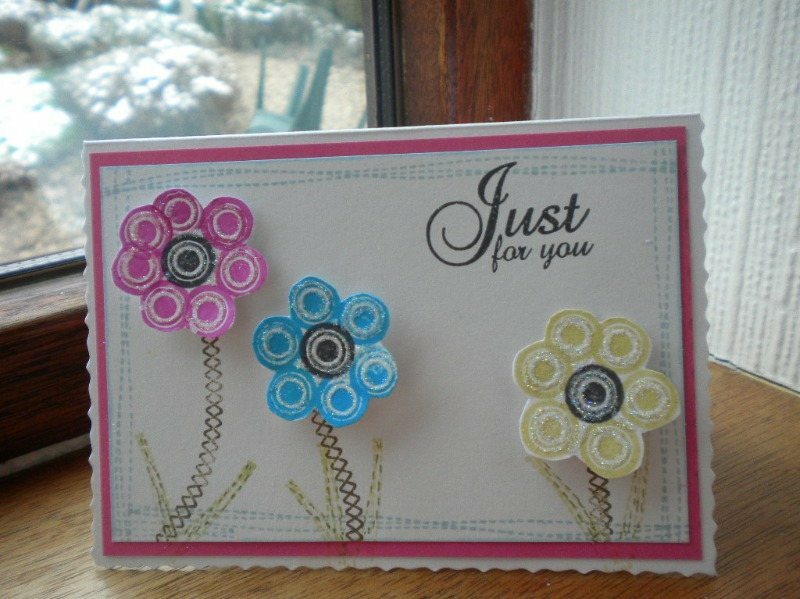 Thank you to Susan Judd for these lovely cards made using the Floral Circles, Fabulous Fabrics 2 and Little Birdie stamp sets, very innovative! 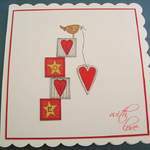 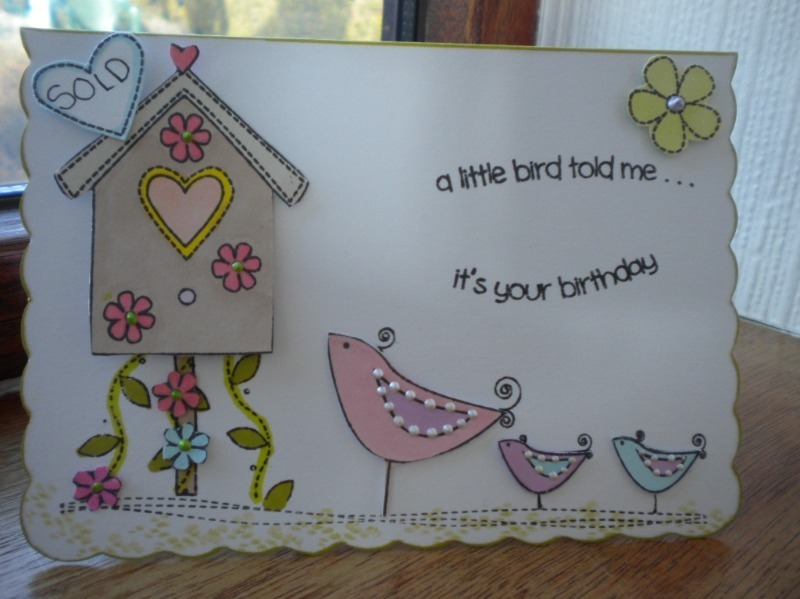 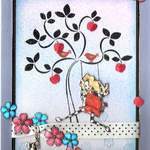 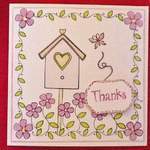 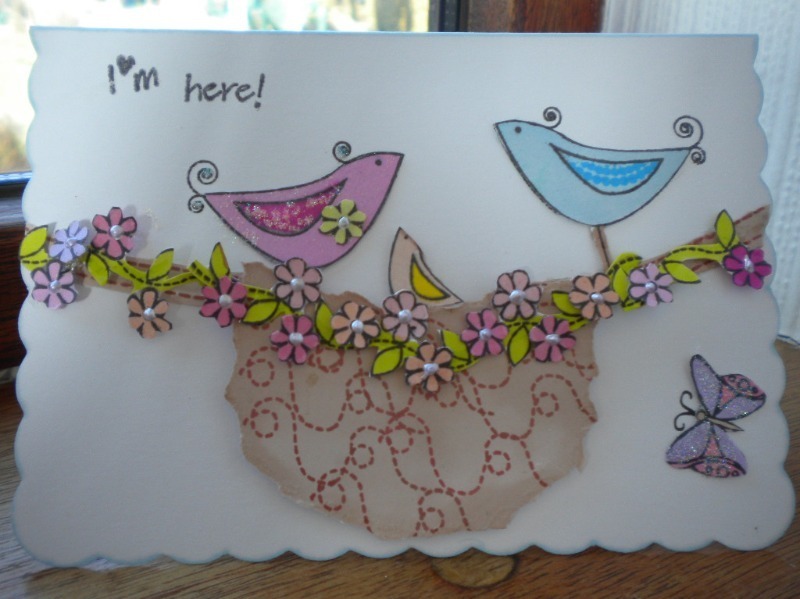 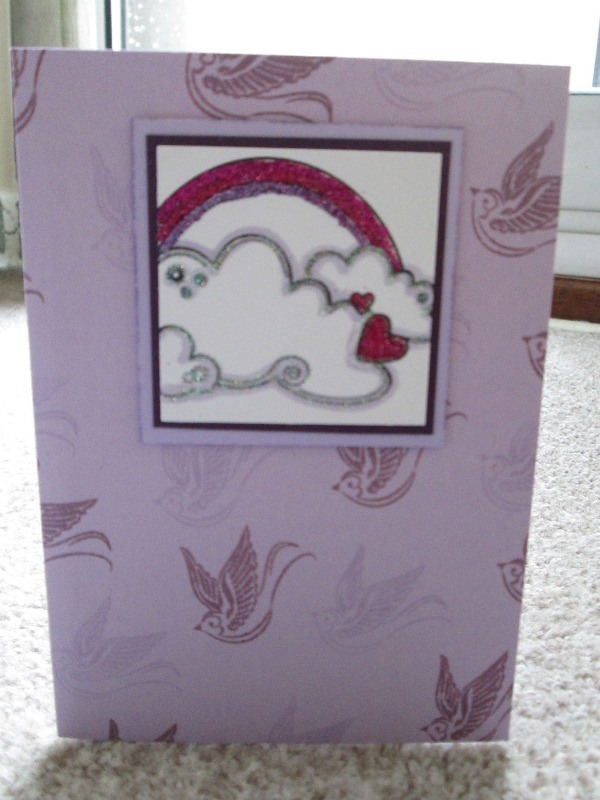 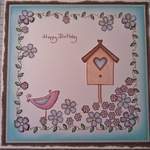 Many thanks to Anne Abell for this lovely little birdie card. 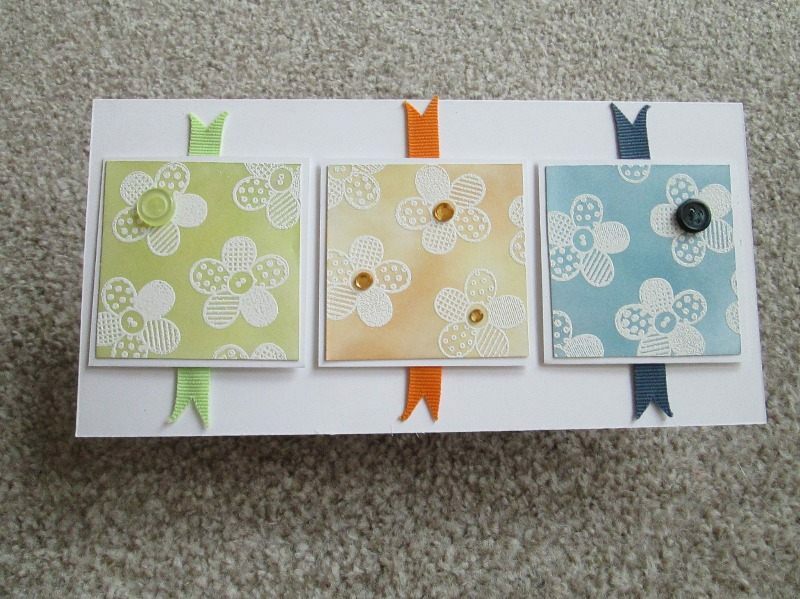 I love the use of colour here, turquoise and brown is one of my favourite combinations! 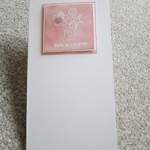 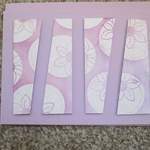 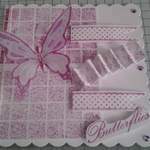 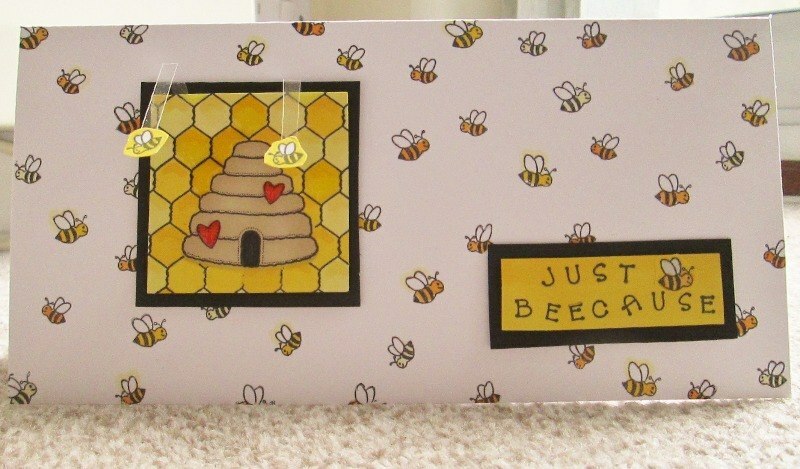 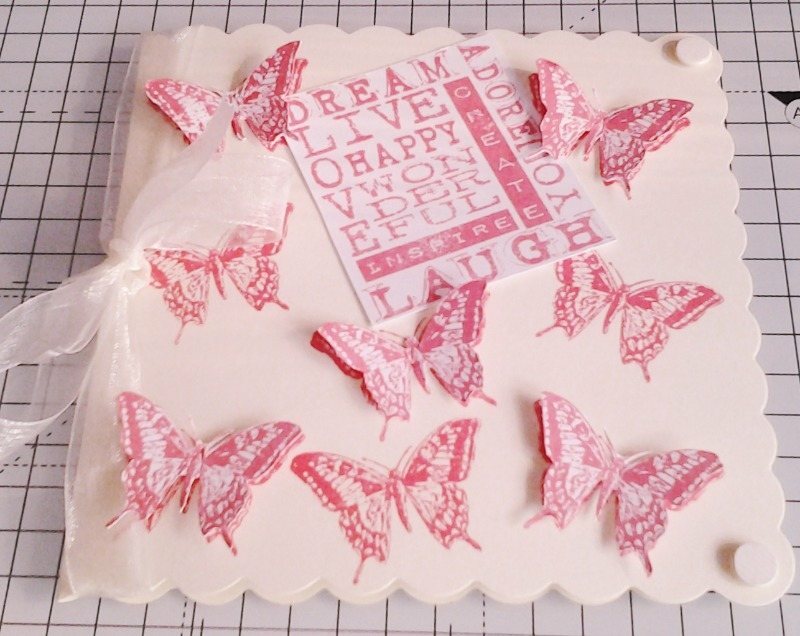 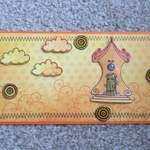 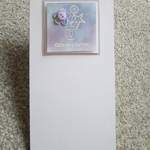 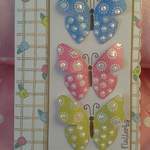 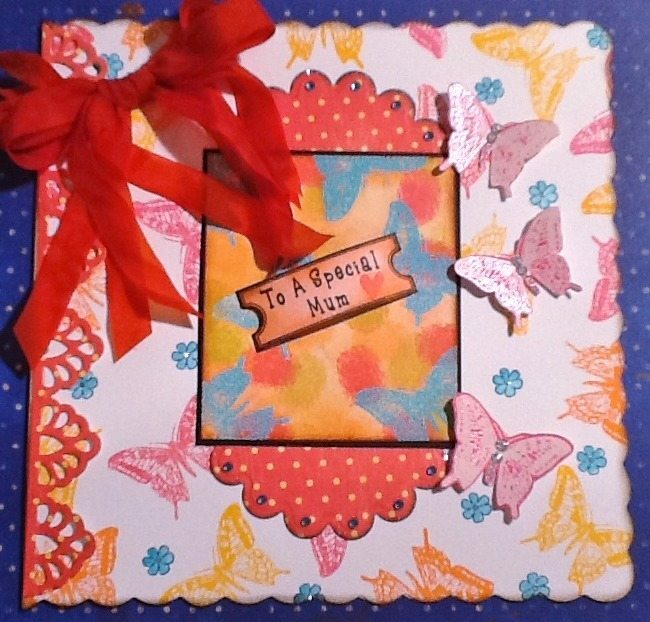 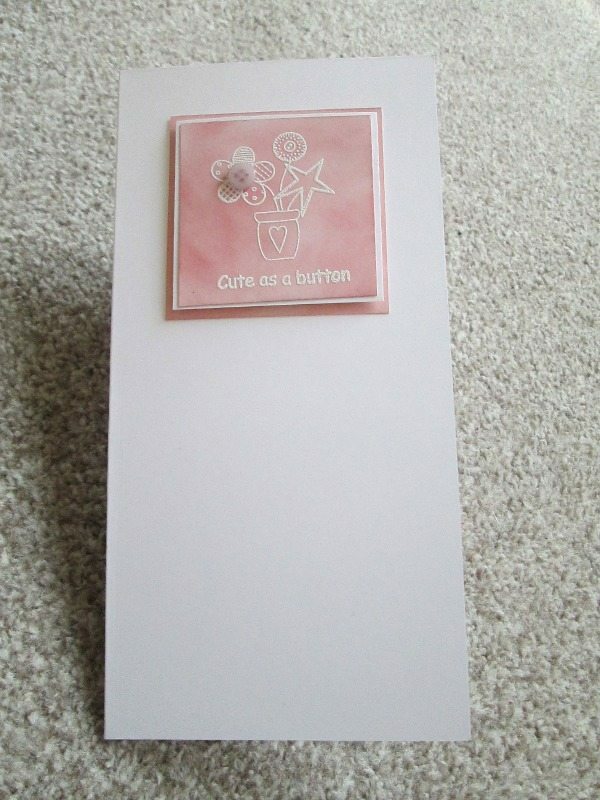 And how imaginative to use the little butterfly as a means of supporting the easel card. 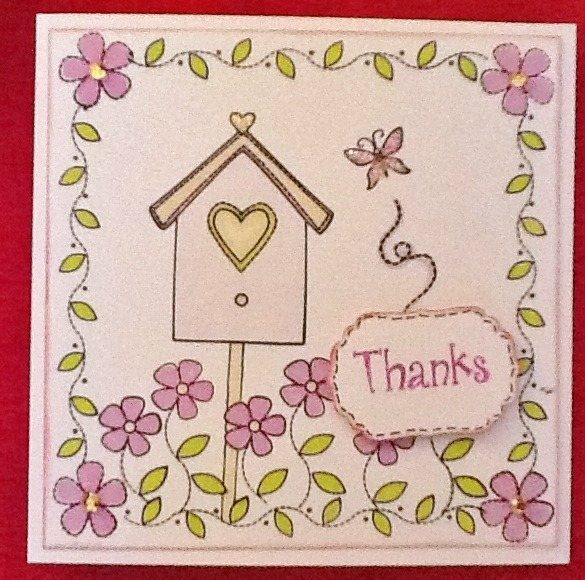 Thanks Anne. 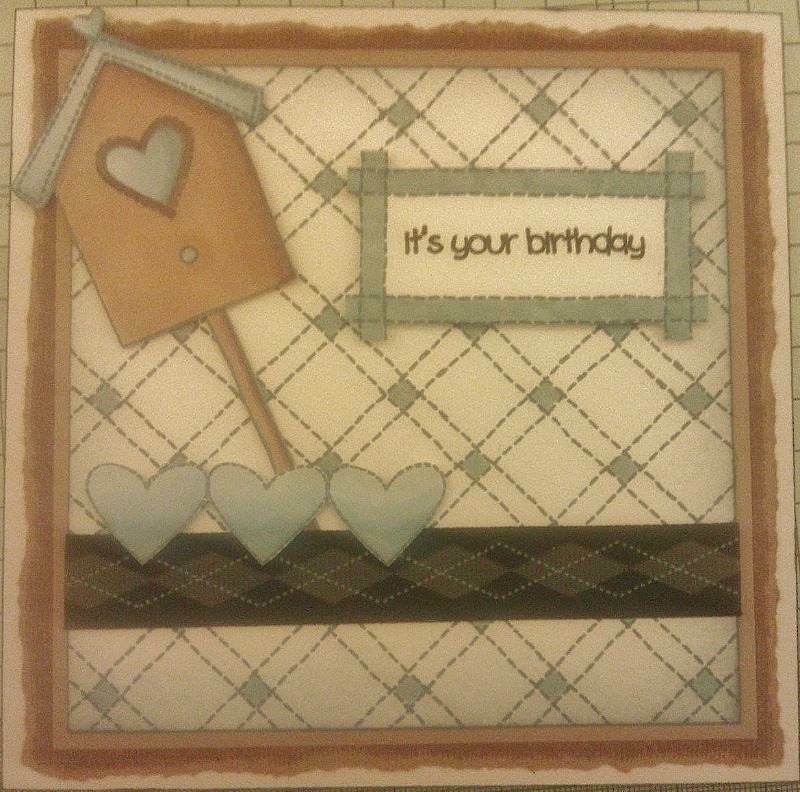 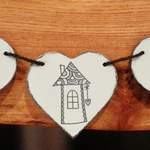 Also two lovely wooden projects by Suzanne Gillespie, the square plaque uses the A6 Woolly Words, and the heart bunting uses the A6 Home Tweet Home, thanks Suzanne they are fab! 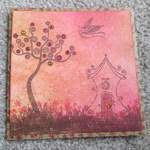 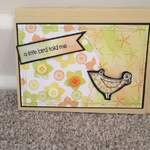 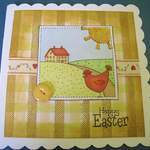 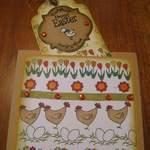 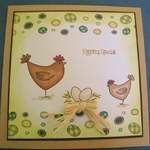 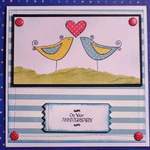 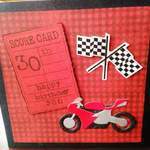 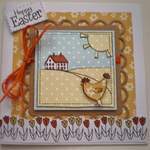 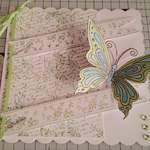 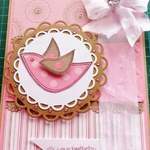 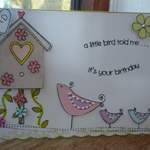 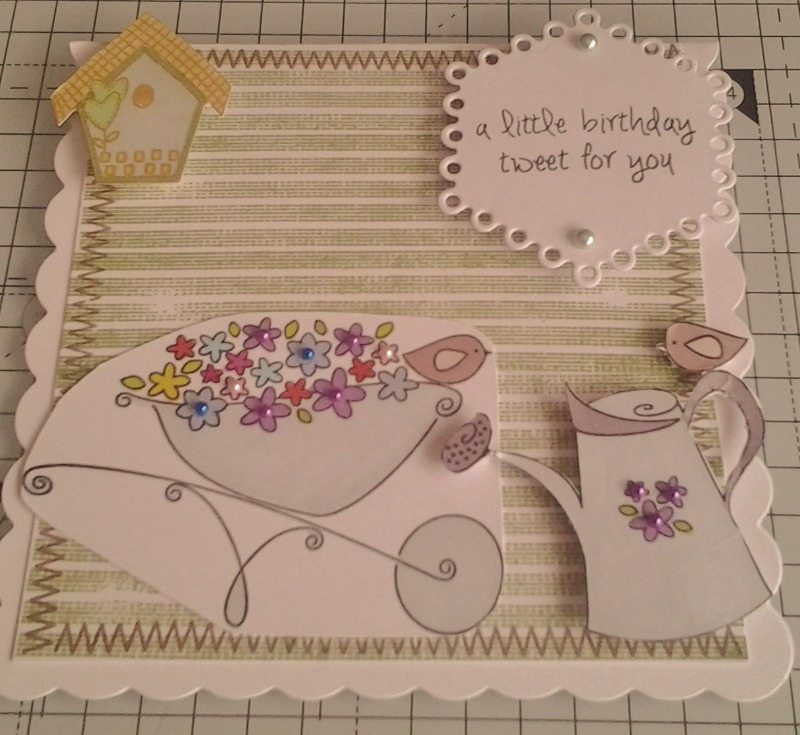 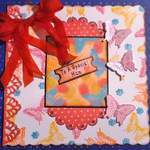 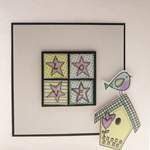 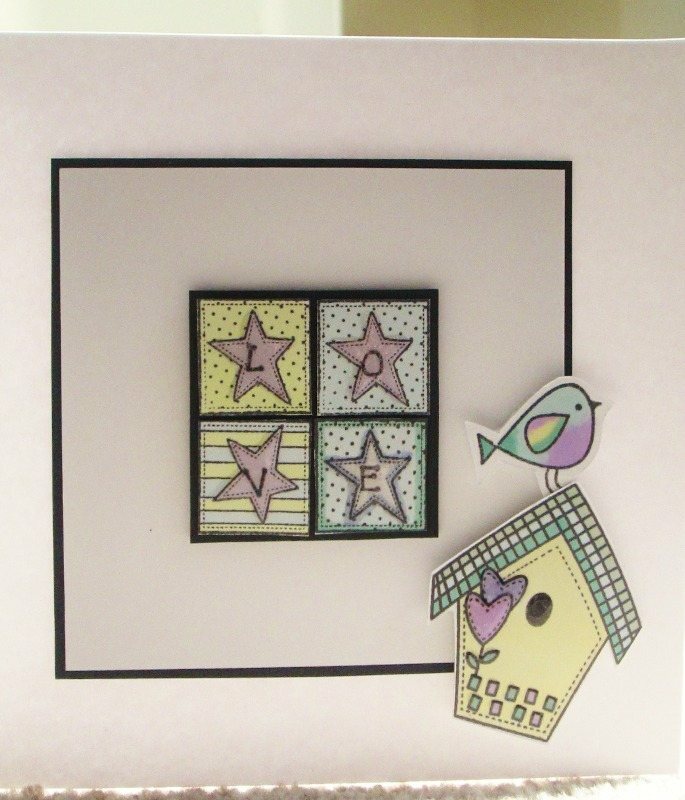 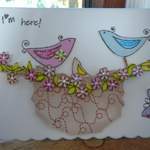 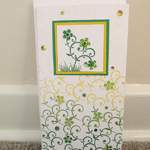 Here are a few more little birdie cards, thanks ladies.